Archive by category "PAINTING TUTORIALS"
There’s probably as many recipes for painting black as there are painters all over the globe. On top of that there are many diffetrent techniques to choose from. 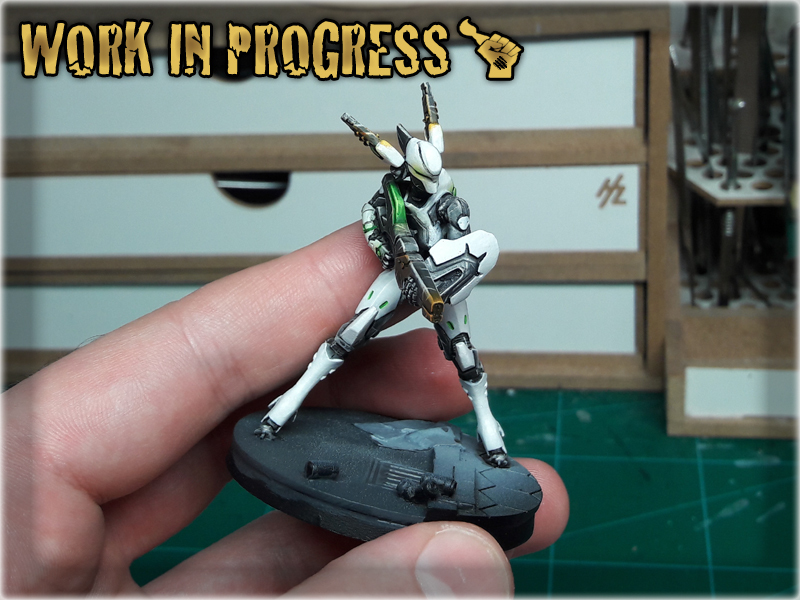 Painting a lot of detailed Infinity the Game miniatures, I have found one that works best for me. Today I would like to present to you a ‘Five Layers Technique‘ based colour scheme that I myself use. First of all some home brewed theory. Just like most colours – Black looks great when highlighted. Black surfaces make good impression, when we are able to see different overlaping layers and how colour works with natural curves and detail. For this purpose I always use grey to highlight and texturize black. This leads to black effectively turning grey in the end, so I usually wash it with black ink/wash to deepen the ‘blackness’ in recesses and darken flat surfaces. That in turn lessens the highlights and flattens the entire impression. Here’s where I figured to follow wash with an edge of white’ish colour to produce strong contrast and ‘pop’ the blackness.
! 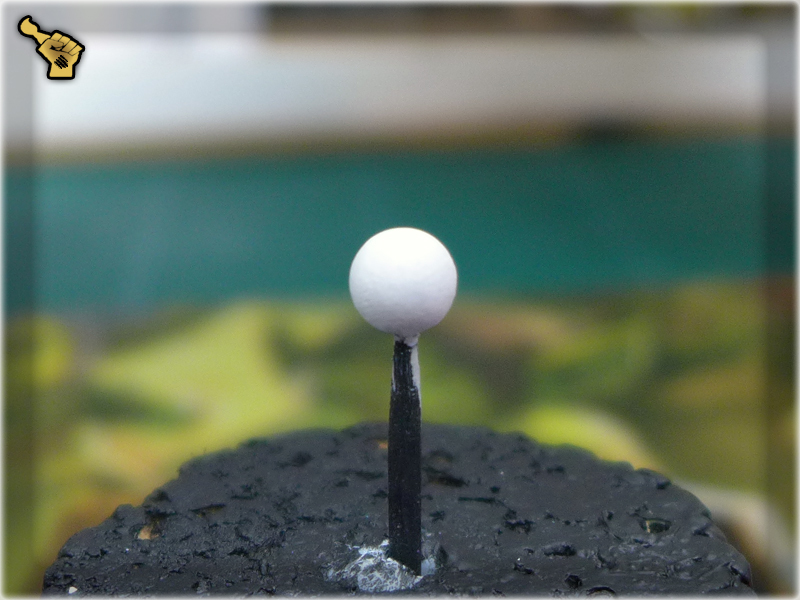 Important note: For this technique you don't need to re-paint entire surface with pure black. 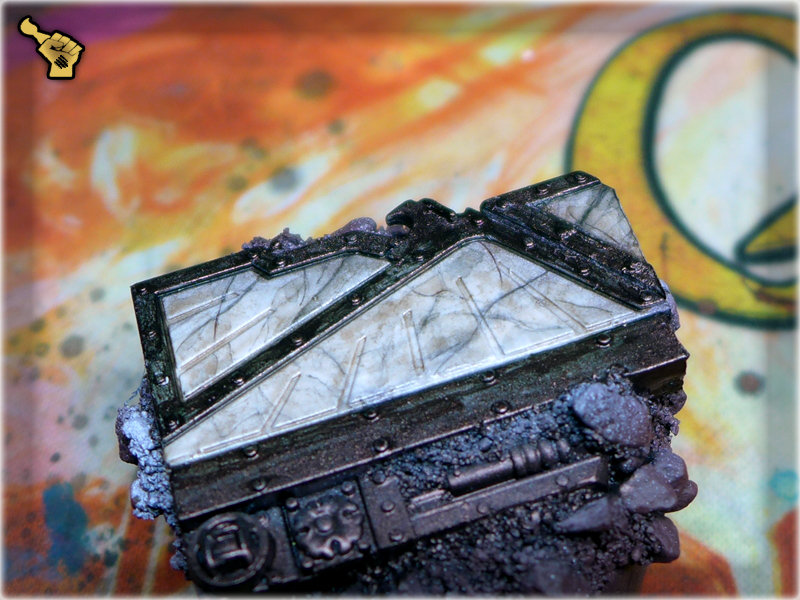 I use it on different, mixed colours - usually being previously airbrushed all over the miniature. 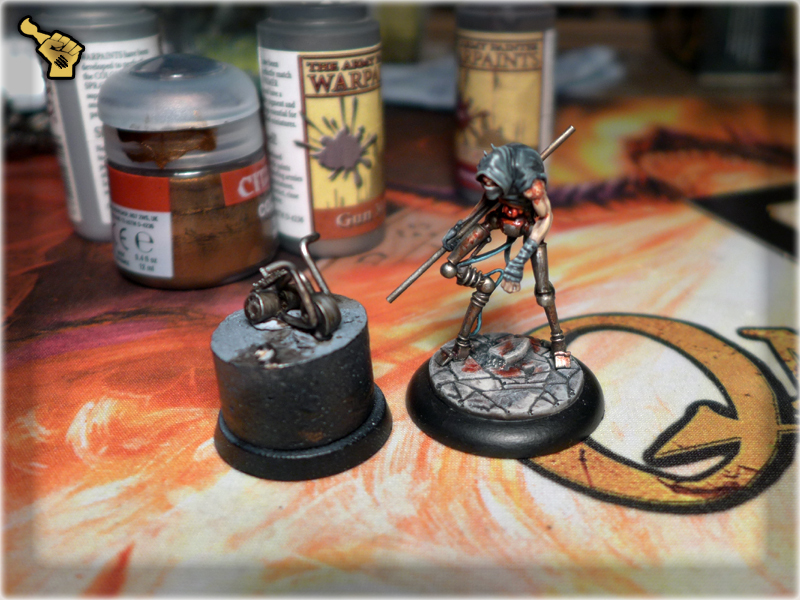 1 First I covered the entire target surface with Skavenblight Dinge. To fasten and ease the process I added a bit of watter to the paint. No need to cover everything with a strong layer - just smoother what's undeneath it with a nice dark grey. 2 Then I made some random strokes with Fenrisian Grey. Once again I dilluted the paint a bit, to make it more transparent. This layer provides texture and some irregularities to all the flat surfaces. 3 I then edged with Pallid Wych Flesh. I tend to edge only the natural sharp edges and some easy accessible spots. the most important are the ones on top of the surface I paint. Added some random scratches here and there too. 5 Finally I edged once again with Pallid Wych Flesh. Added some more scratches. Job done. 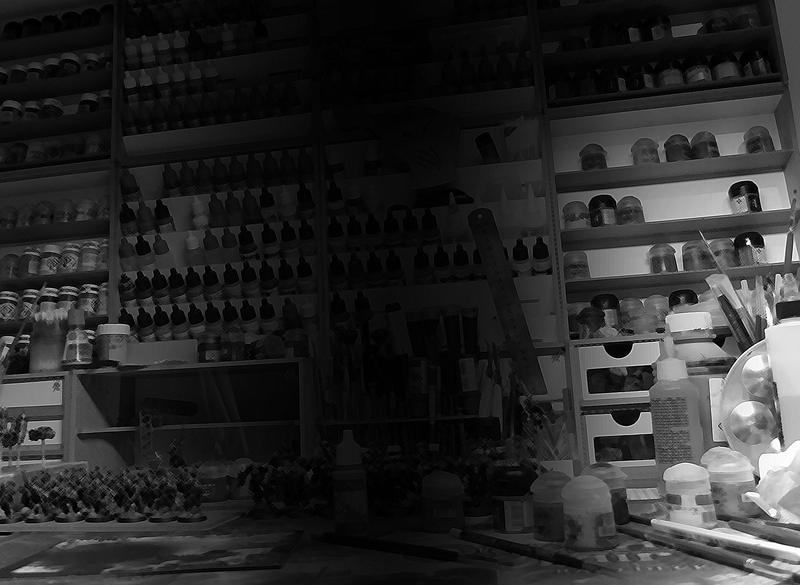 That is the entire secret behing my Painting ‘Infinity’ Black technique. Fast and easy. Sure, no perfectly smooth transitions, no none metallic metal, but still a very rewarding result. 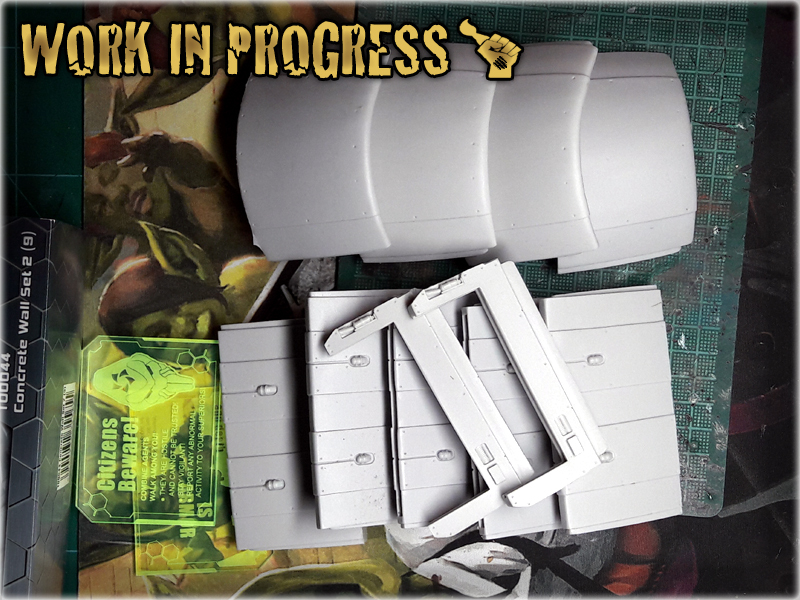 With a bit of imagination and practice – this might be used as a perfect starting point for a much more complicated paint job. Hope it works for you. 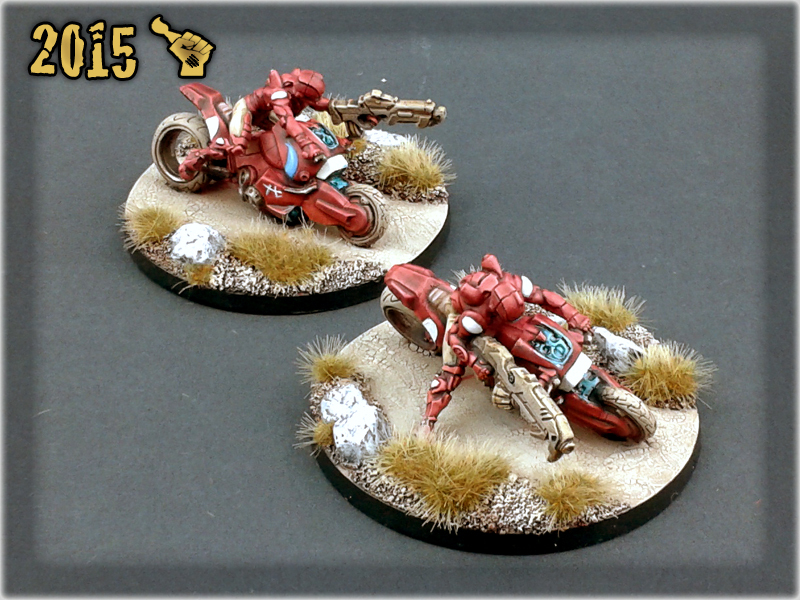 Micro Art Studio does some fantastic paint job on their stuff. At some level it might even be considered a bit intimidating. 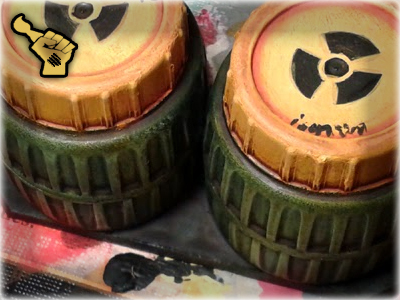 Thoughts like ‘This stuff is amazing, but I will never be able to paint it anything like they did’ had kept me from purchasing some awesome terrain pieces in the past. I bet that some of you feel the same right now. Well – that is clearly a bad way of thinking. 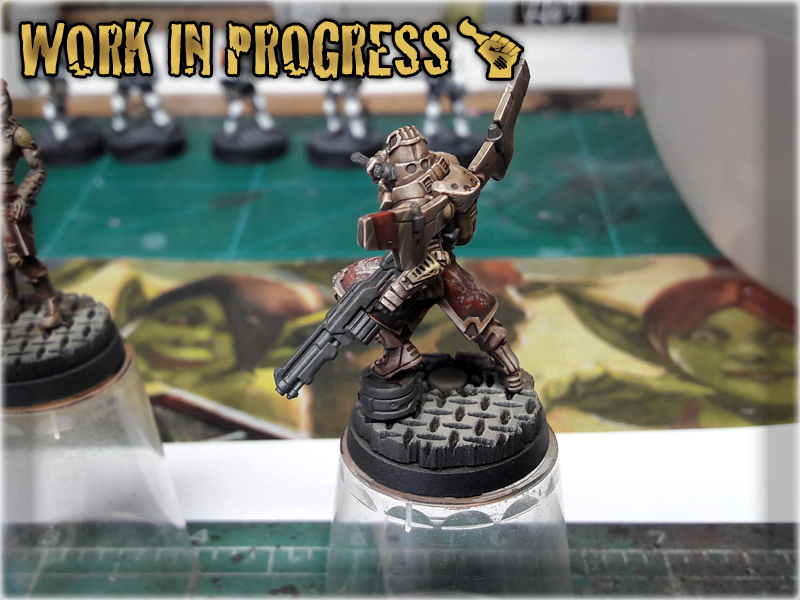 That’s why I prepared this small Step-by-step painting tutorial with which I hope to bring you closer to your ideal of a Gaming Table. 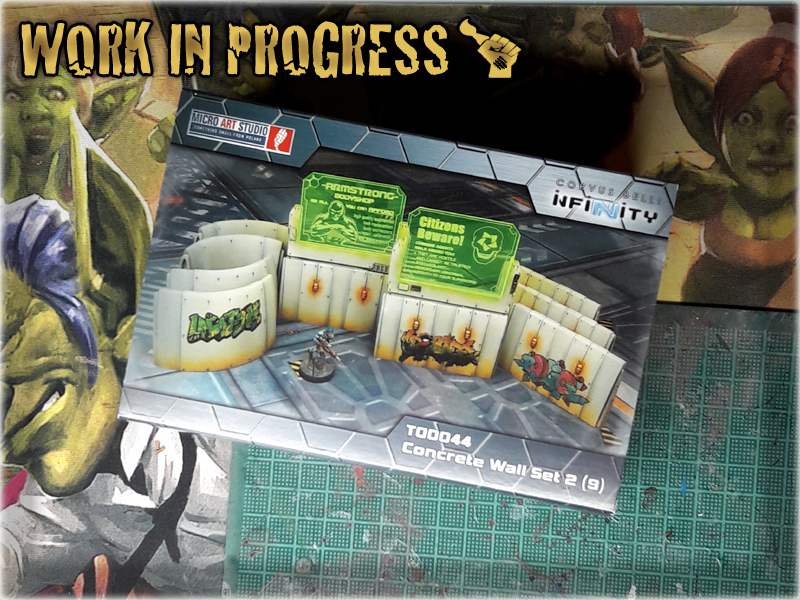 For this purpose I picked a Concrete Wall Set 2 by Micro Art Studio and tried to copy their style with a small variation of the colour scheme. 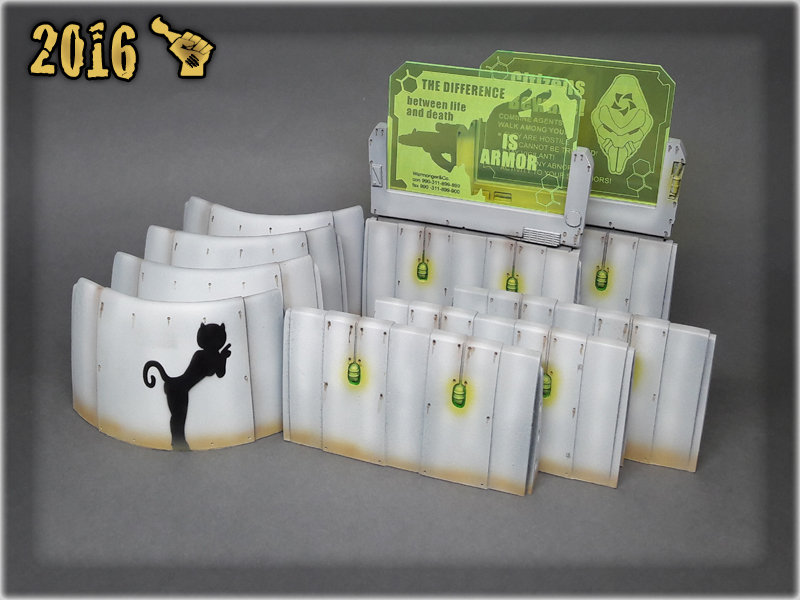 1 After unpacking the set I have cleared any extent of resin and prepared each piece for the undercoat. 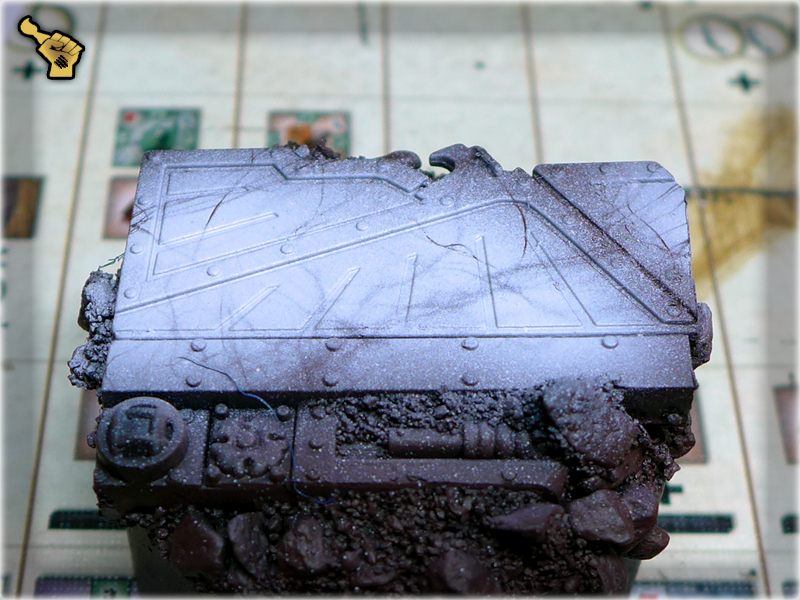 2 I have covered entire set with Games Workshop's Mechanicus Standard Grey primer. 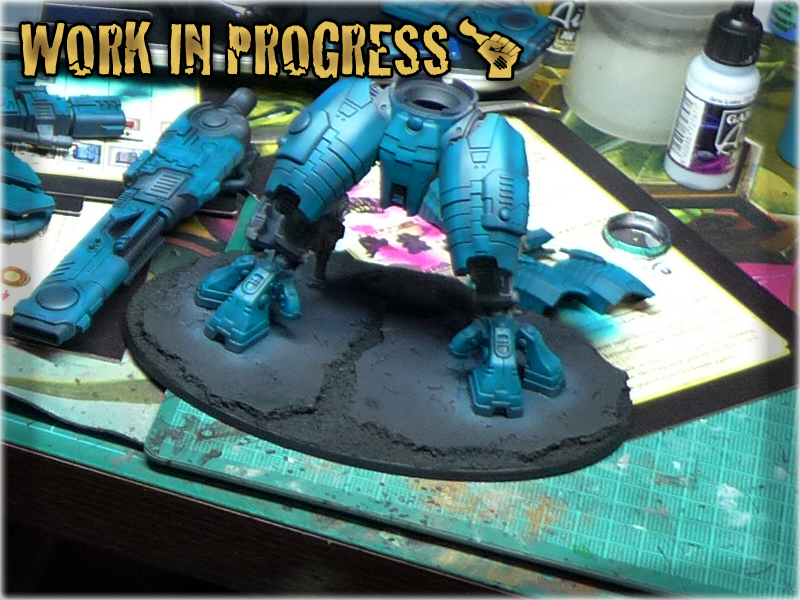 Usually I use Black Undercoat first, but in this case the surface was smooth and I knew it will work well with a Grey undercoat. 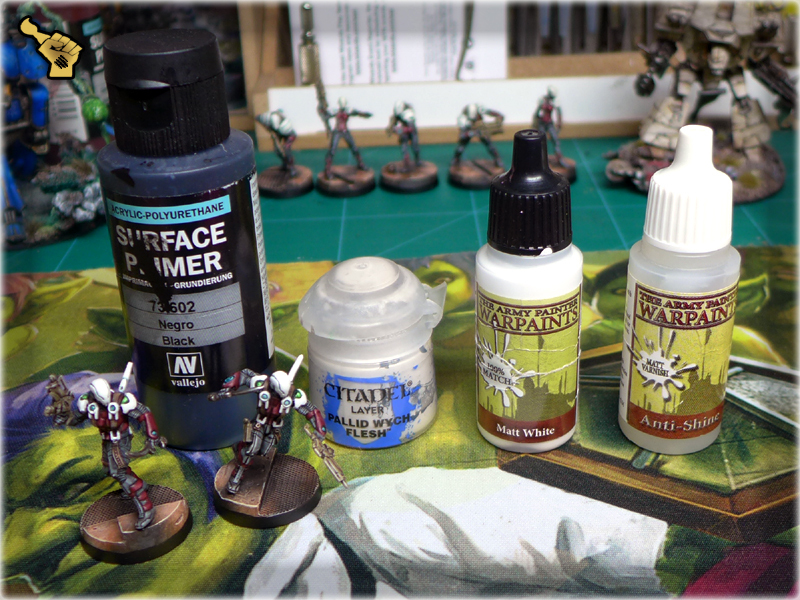 Do not feel obliged to use the exact same primer - you can easily use Vallejo Grey Surface Primer instead and Airbrush it over the surface. I used spray just to save some time. 3 I gently arbrushed Vallejo White Surface Primer over the set. First I tried to cover entire surface from afar (15cm distance, constant flow, see pic - dark spots), then I outlined center of each flat surface with additional layers (5cm distance, soft puffs of paint, see pic - light spots). This resulted in the surfaces gaining some extra shadows. 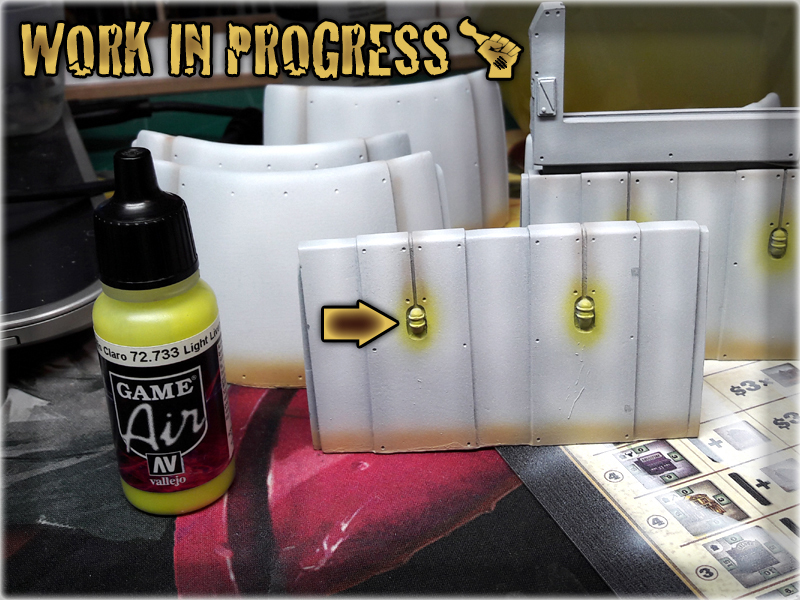 4 I used airbrush to apply Vallejo Light Brown onto the lower parts of each Wall piece. 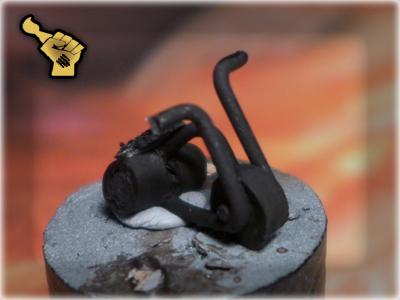 I mixed a bit of Airbrush Flow Improver to build up a nice transition from brown to white. 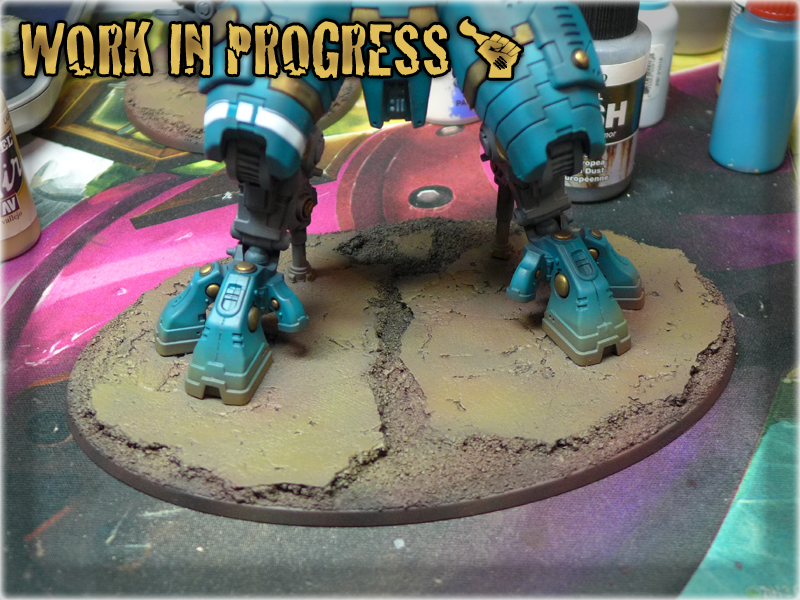 The key is to paint in smooth lines, then go backwards building up colour. 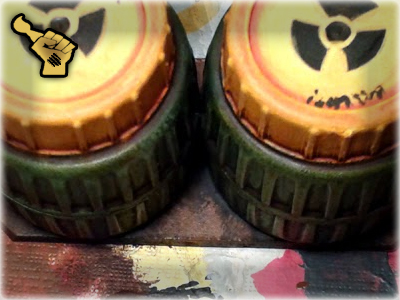 Too much paint in the same spot will result in paint spilling all around and ruining the paint job. 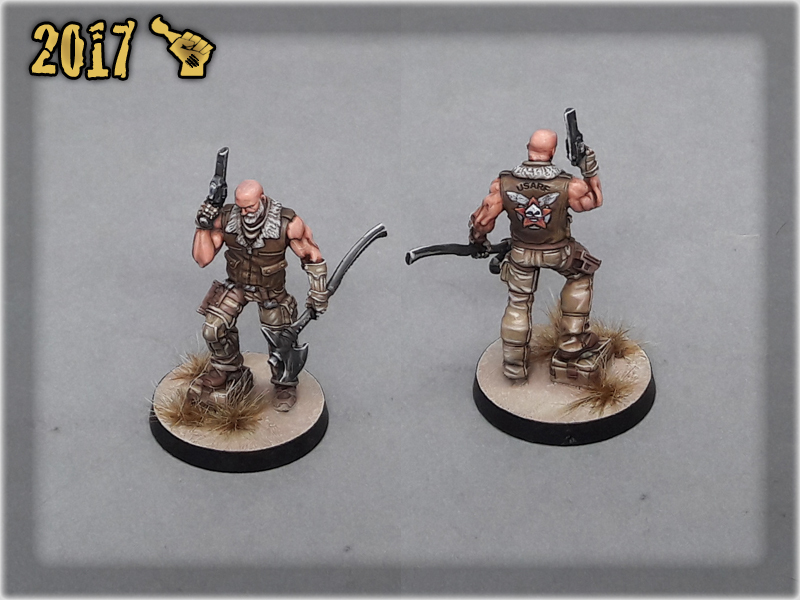 5 Then I moved to Army Painter's Soft Tone Ink and airbrushed it over Light Brown, with an addition of single strokes over the recesses of four oval Wall pieces. 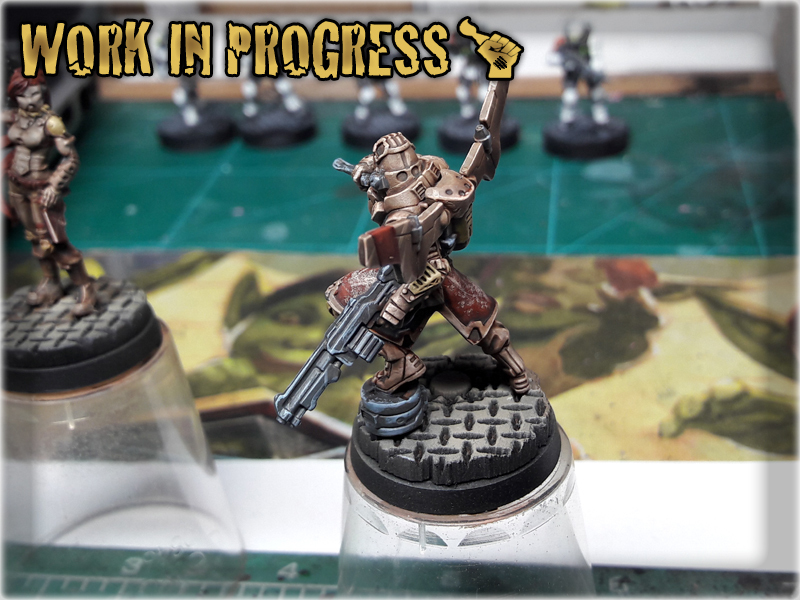 I was careful not to apply too much paint as in this particular case I wanted to build up a nice hume of colour, instead of 'washing' the surface with it. 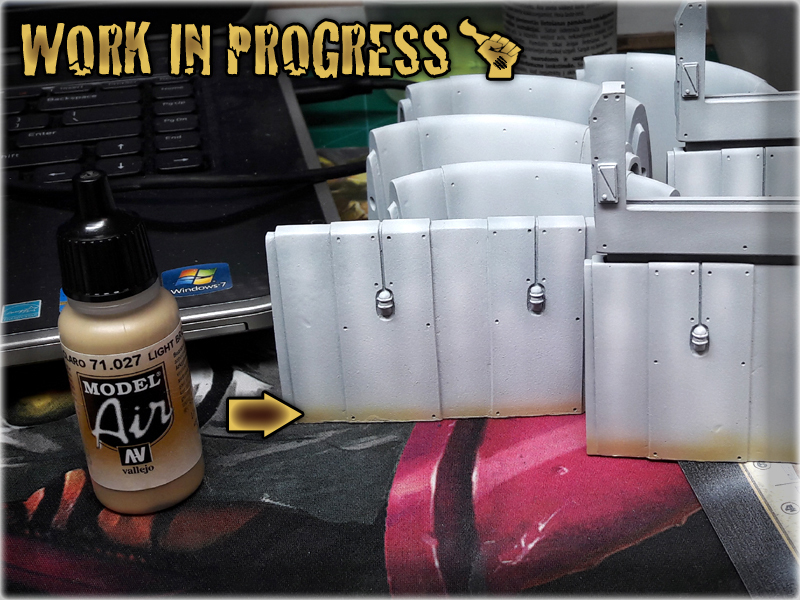 6 Then I applied a thin layer of Vallejo Light Livery Green over and around each lamp. 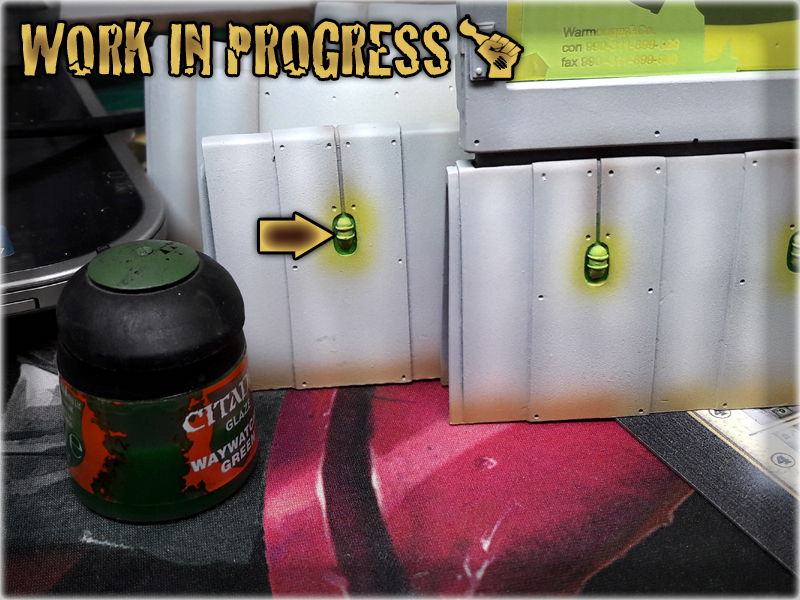 A lot of small puffs of paint helped me to keep the base shape of light around the lamps. Even if one or two puffs went too far, they were so delicate as to remain unseen once the majority of colour was applied. 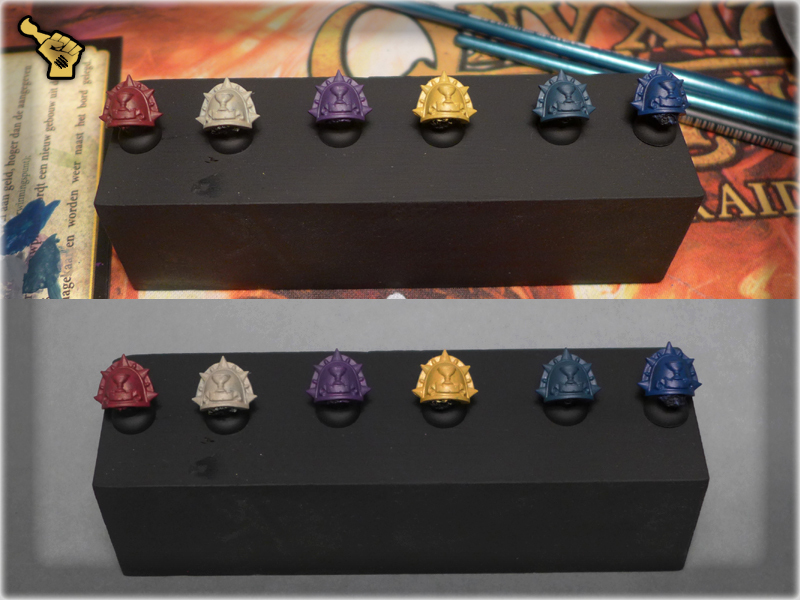 7 To strenghten the colour I used a small brush and applied Games Workshop's Waywacher Green onto the lamps. I tried not to exeed the boundries of their slots and in case I did - I used a small piece of paper towel to clear the paint out. 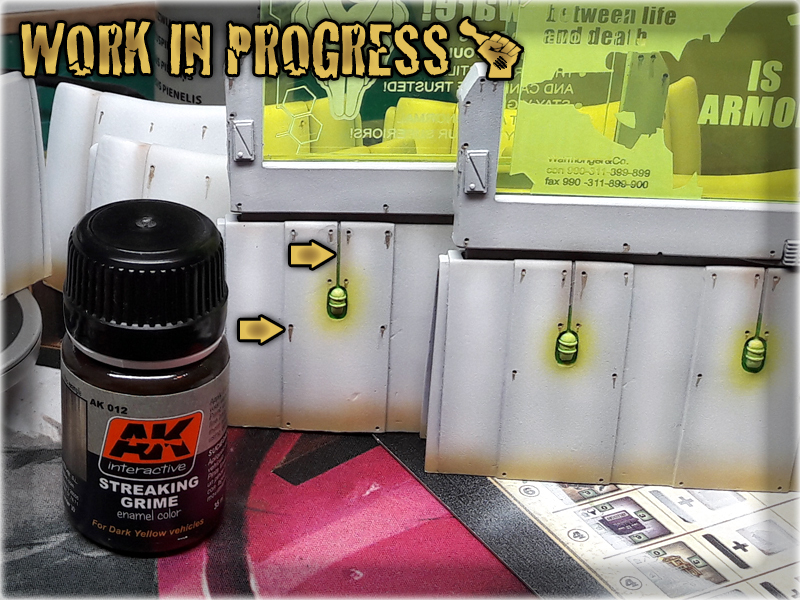 8 Finally I applied AK Interactive Streaking Grime. 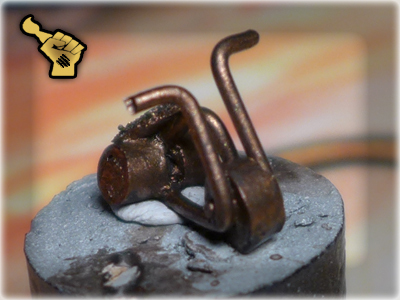 Using a small brush I poured this weathering effect paint into holes, then smeared it dow with a tip of the brush. The more irregular it went, the better to the overall visual effect. 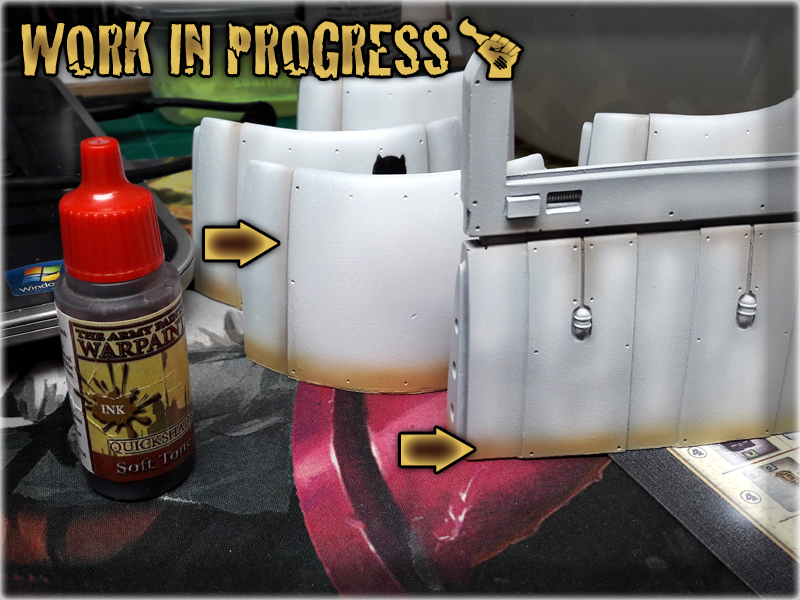 In the end I used a template provided by Reycast to airbrush a small Nomad prank onto the wall, with a Vallejo Black Paint. 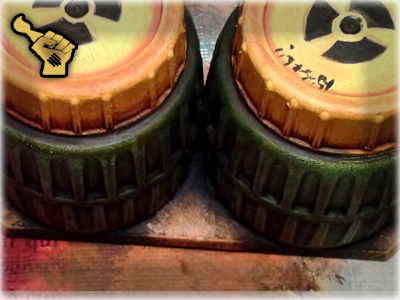 What’s left now is to purchase Micro Art Studio’s S-F Graffiti Transfers and job will be done. 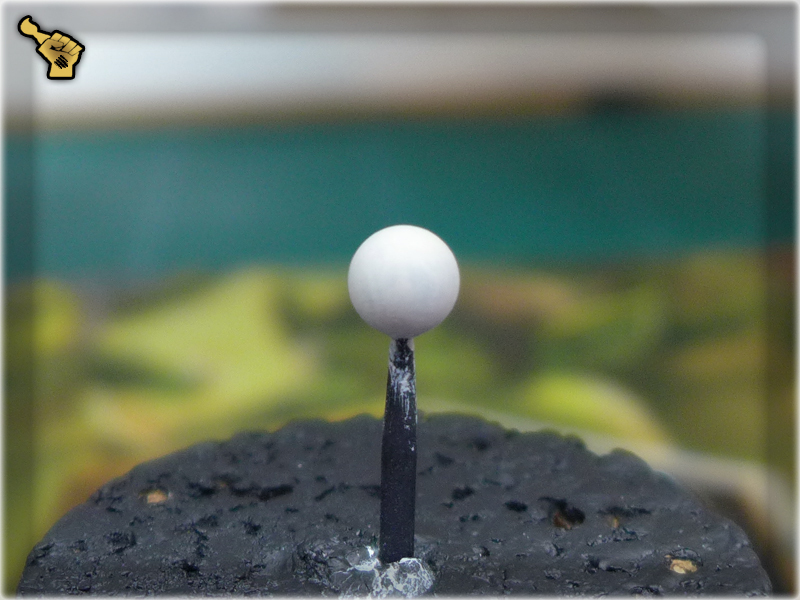 1 I have undercoated (Airbrush) the entire base with Black paint. 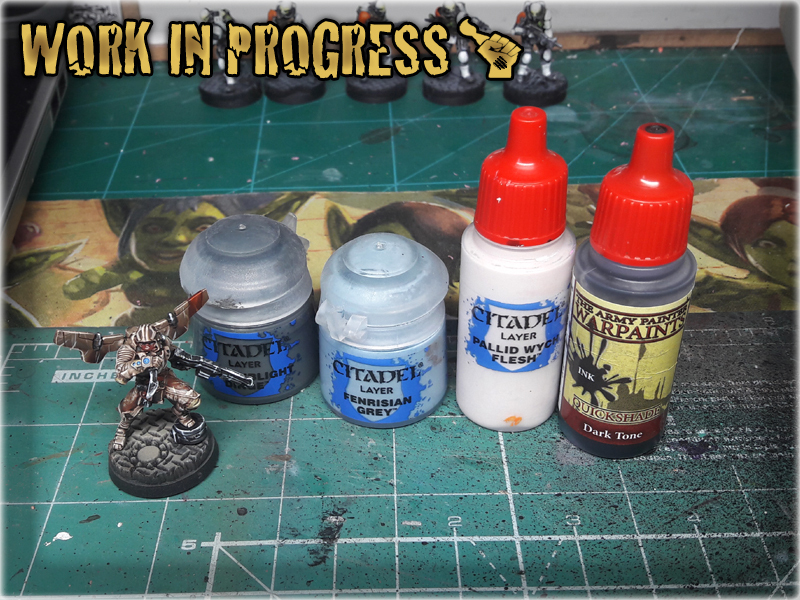 To properly undercoat the jagged edges of cork I've added some water to the plack paint and then used a Large flat brush to apply the mixture over this surface. 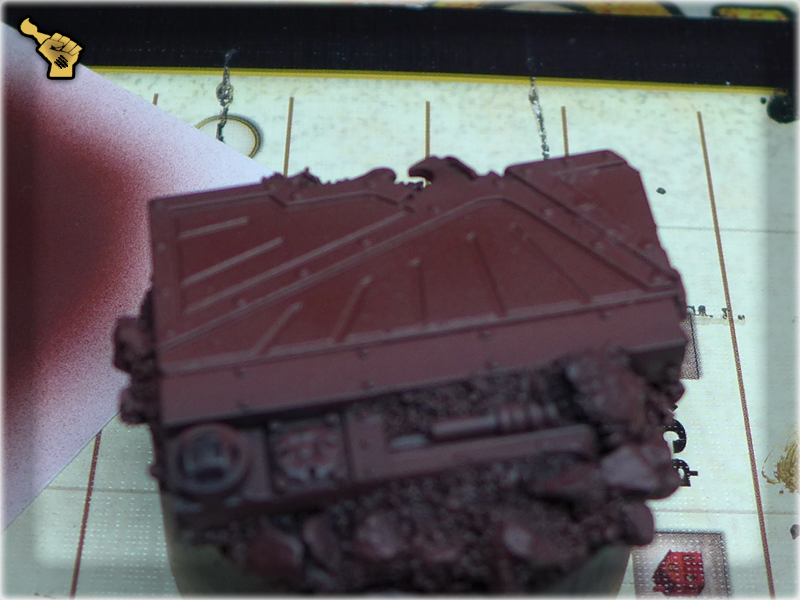 2 I have airbsrushed German Red Brown onto the entire base. 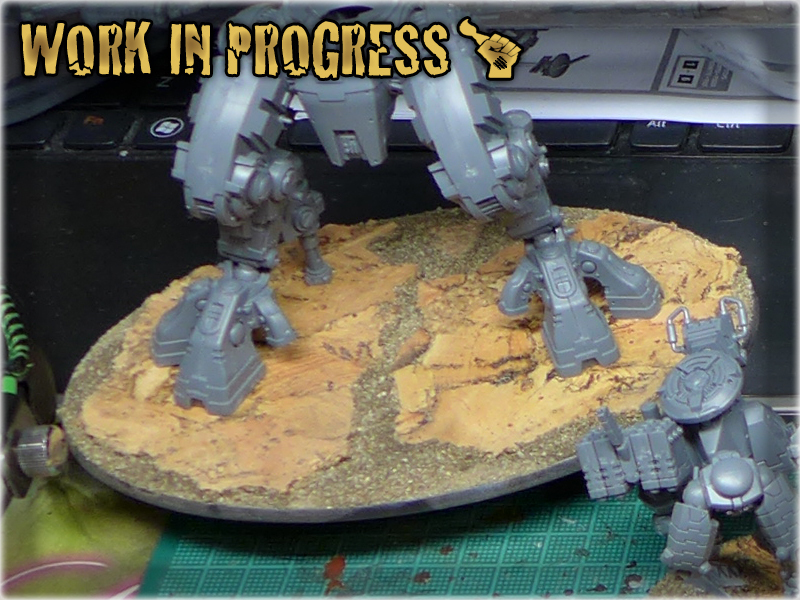 It does not had to be precise, just enought to cover the cork and some bigger flats of sand. 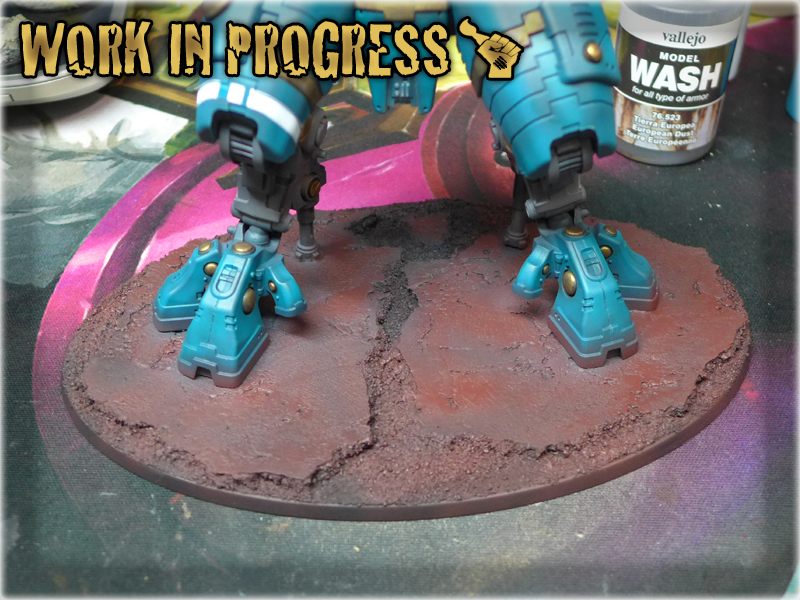 3 Still using airbrush I've applied Earth colour over the surface. This time I ensured that some areas of the cork will be less covered than the others. 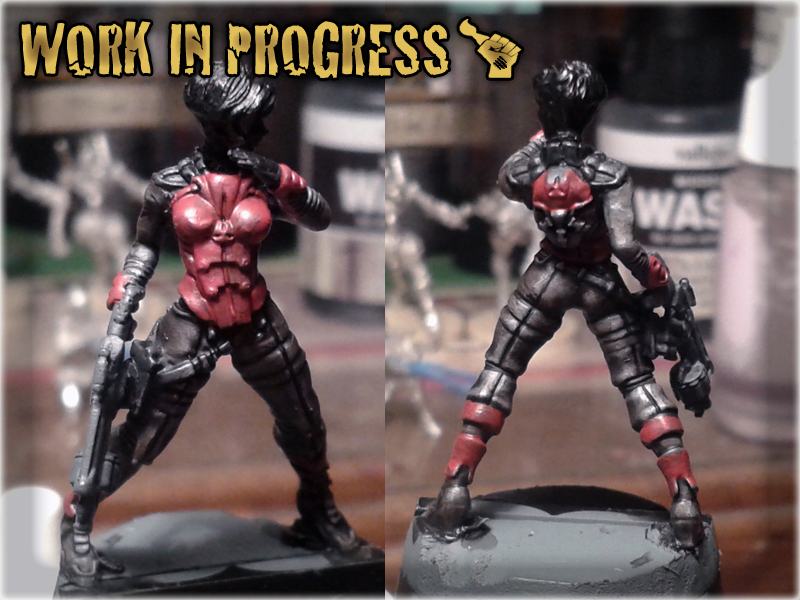 The process was almost random - just picked some spots to have more paint. 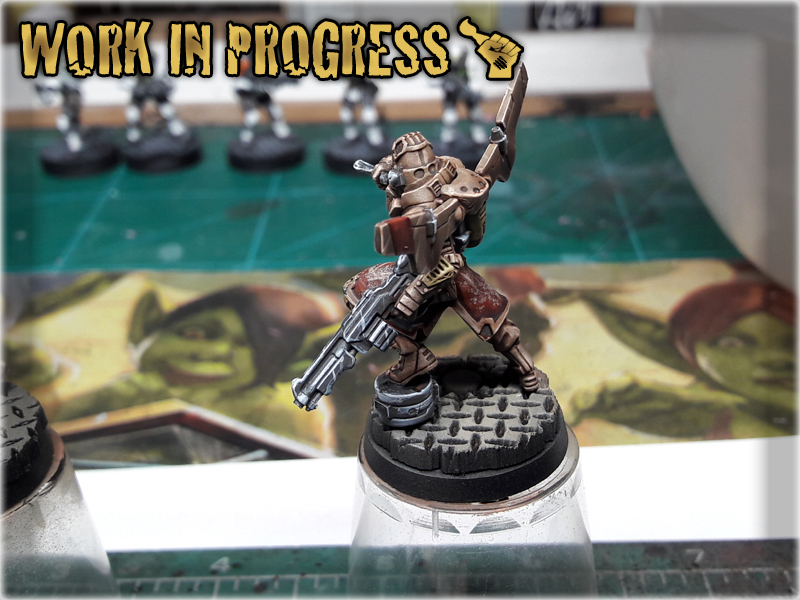 4 Light Brown followed, being airbrushed over the base. Once again I tried to cover some spots better than the others. This time tho I tried not to paint over sand too much, just some delicate puffs of paint. 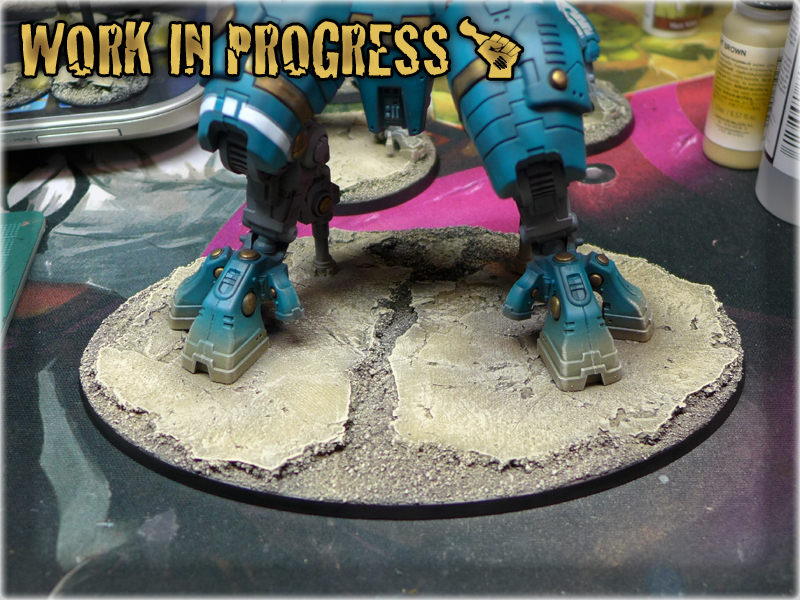 5 Once the paint was utterly dry I sprayed European Dust over the entire base. The layer had to be thin, just enought to cover the base without leaving any stains. 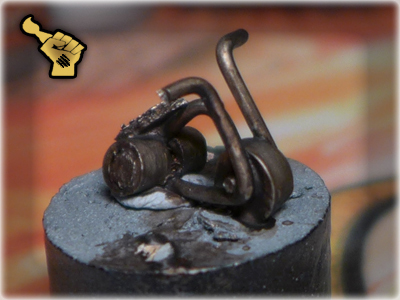 6 Lastly I used a large flat brush to drybrushed the entire base with Flayed One Flesh. Once it was done I also edged some major edges of the cork with the same colour. 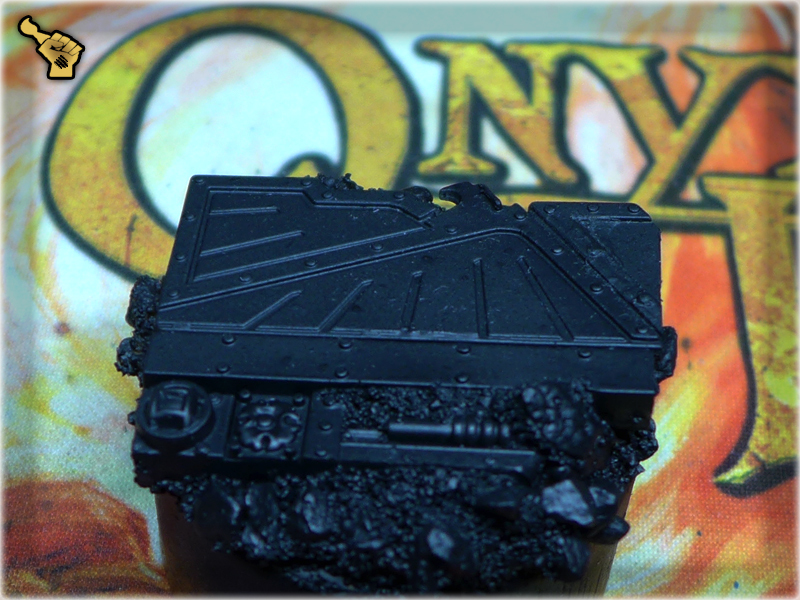 Clean black rant of the base followed. 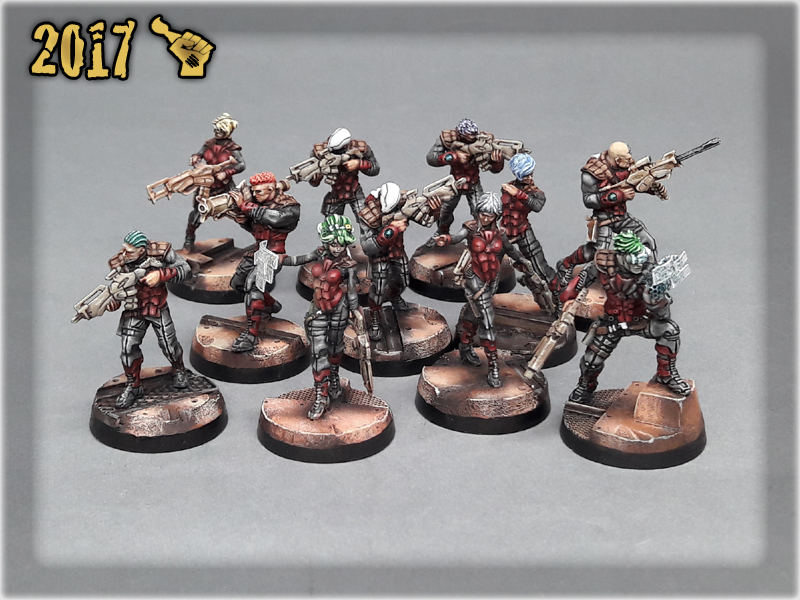 Two weeks ago I was participating in a tournament of Infinity the Game. 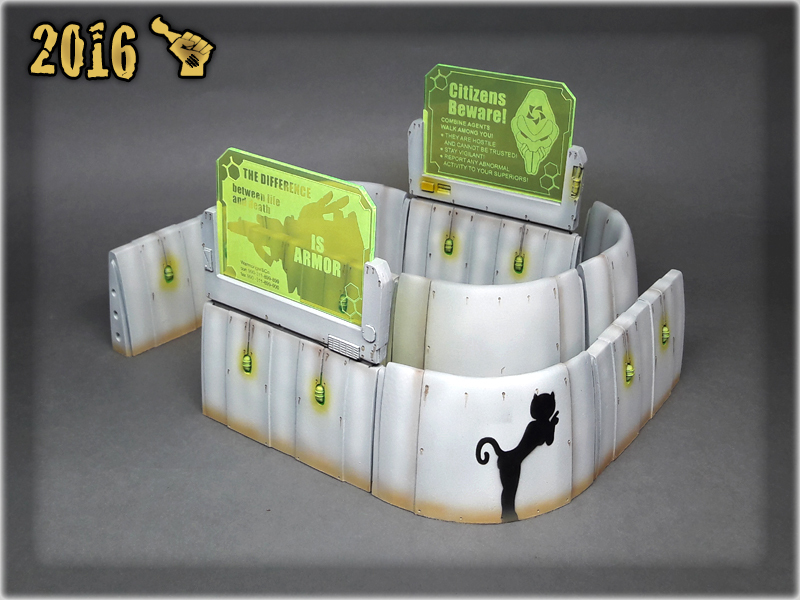 Somewhere between games I chated with fellow hobbyist and as the topic moved to miniatures he asked me about my Infinity Corregidor’s white. What made him curious was how solid and actually ‘white’ that colour was. 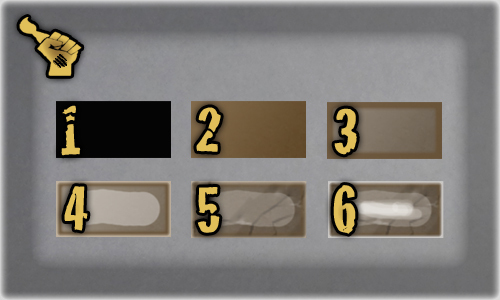 I started explaining and before I finished – a group of players was standing around and listening to my recipe. 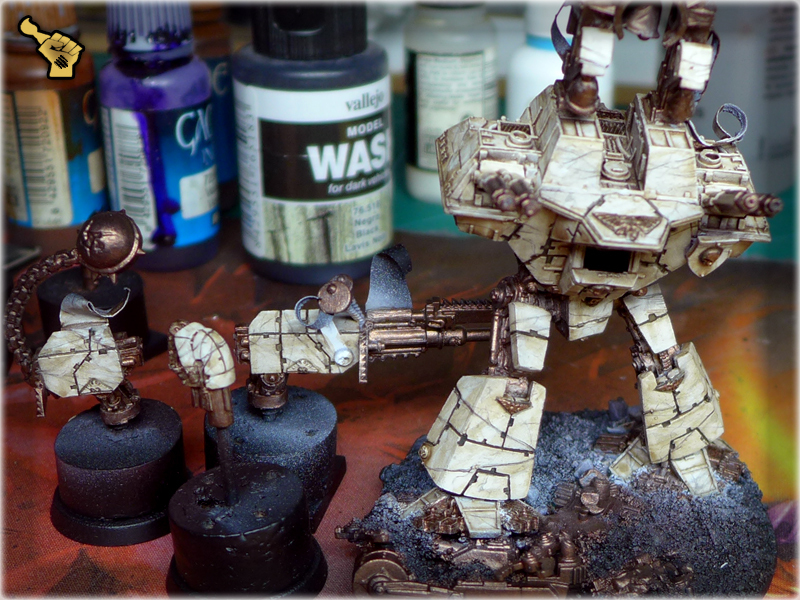 I then realised that a lot of painters struggle with white as it is not an easy colour to achieve. A common mistake is to paint layer after layer of pure white as usually all the irregularities made with first layer will still be visible. 1 I applied Pallid Wych Flesh (GW) onto the surface. This layer is usually dirty and full of smudges. Black undercoat is also visible undernath it but I don't care. 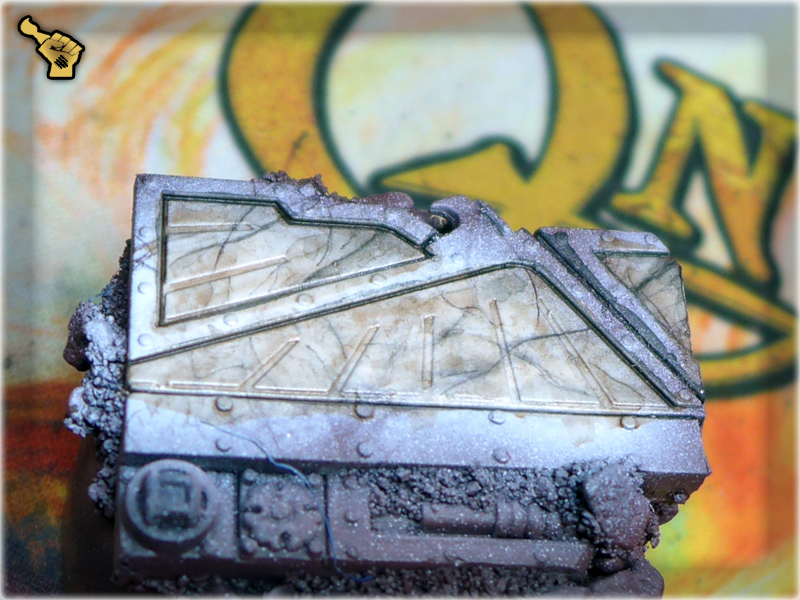 The key factor is to keep this layer thin so I blurredany accumulated paint with my brush adding a tiny bit of water (I used a Citadel Basecoat brush to be precise). 2 Next in line was a 1/1 mix of Pallid Wych Flesh (GW) and White. Once again I tried to keep the paint thin without adding any water. Just used the tip of the brush to clear any irregularities of paint. This layer has a lot of white's pigment, further enchanced by Pallid Wych Flesh so it should be easy to obtain a solid colour at this point - still not 'white' tho. 3 Third layer follows the same rules as the first one. I kept a thin layer of pure white mixed with a tiny bit of water. 4 To further smoothe the surface I used Matt Varnish. It solidified the 'whiteness' of my layers but I had to be very careful due to Varnish's tendention of drawing small hair and dust fragments. 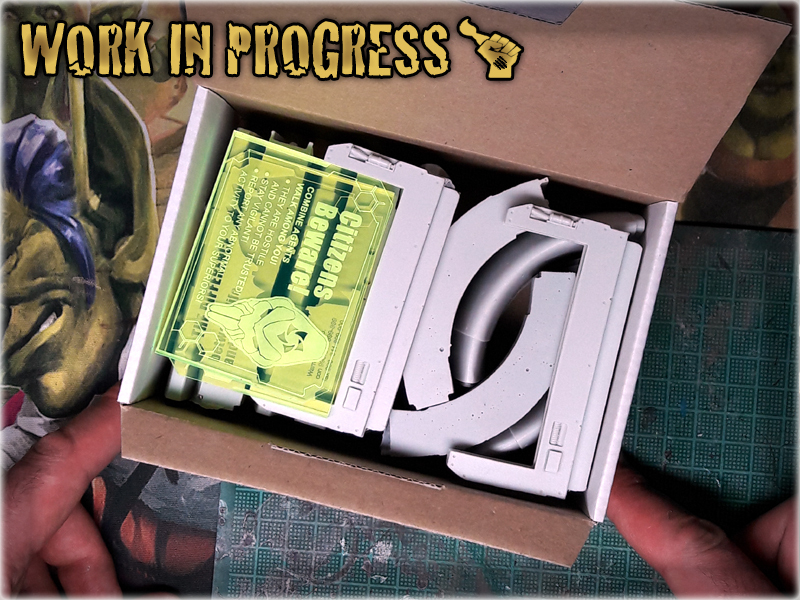 After applying this layer I put the miniature into a small plastic box so that no dusty trash will land on it while it dries out. That’s it – that’s the whole secret of pure and strong white. 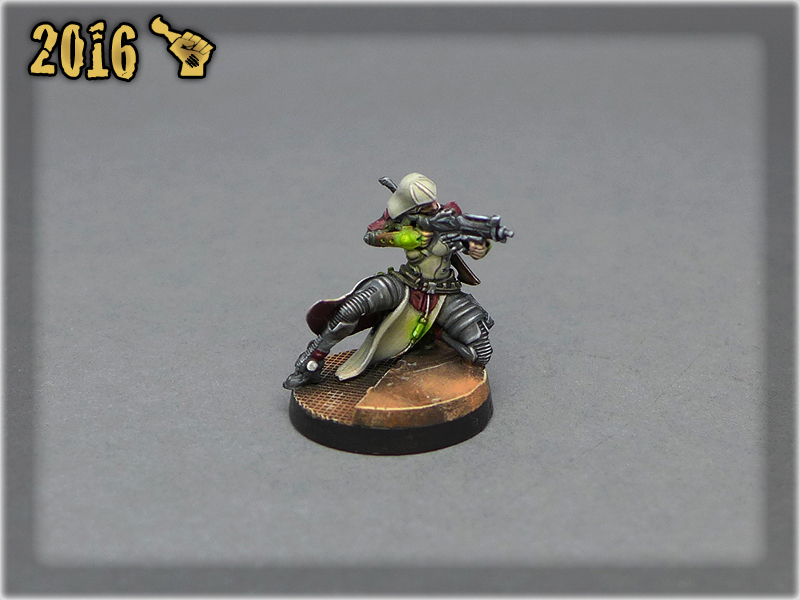 Below is a quick and easy technique of painting marble using a limited palette of paints. 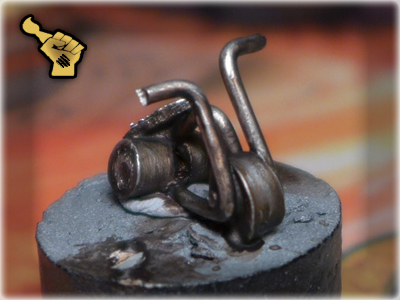 * assuming you already have an airbrush or spray gun – if not, I have posted a solution in the end of the article.
! Doombull Brown (GW) or Dark Flesh (GW) and actually any dark brown will do. 2 The first proper layer was German Red Brown (Vallejo). 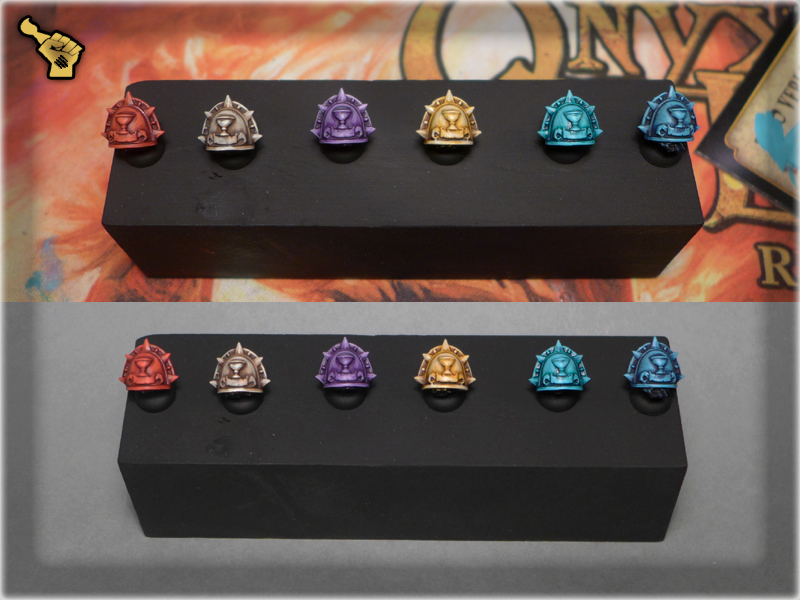 I used Airbrush to cover all of the 'marble' surface with it. 3 I took a piece of Steel Wool and made a marble template out of it by pulling and stretching a small piece of it. I used the template and airbrushed all with White. 4 Using Dark Tone Ink (AP) and thin brush I marked out some major lines of the marble. I also used water to dilute the paint and used the mixture one side of some major lines. 5 Using large brush I made random stains of Strong Tone Ink (AP) and then before it dried I've genlty touched it with piece of paper towel. 6 I washed all using Soft Tone Ink (AP). 7 I built contrast in the recesses using Dark Tone Ink (AP) diluted with a bit of water. 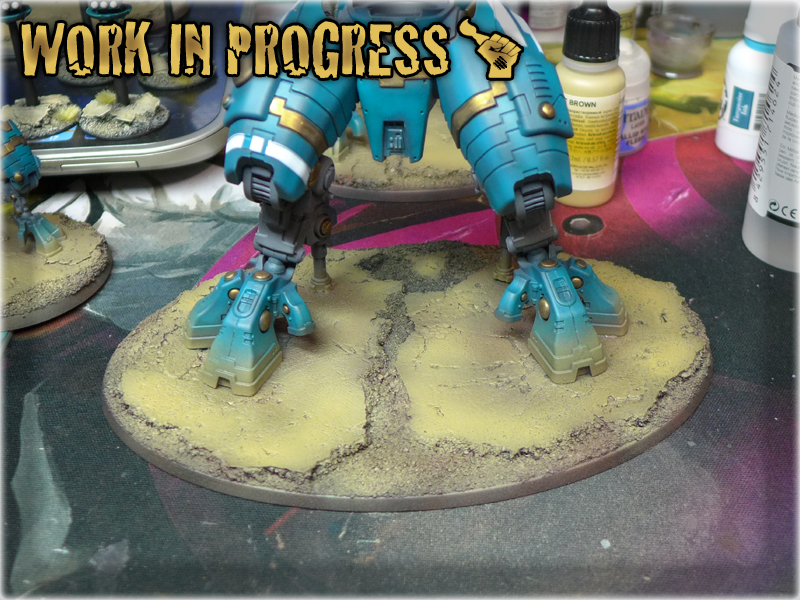 8 Finally I glossed whole surface with Gloss Varnish (Vallejo) to give it a nice shine of polished marble and deepen the colours difference. Hope you like and will use this method. 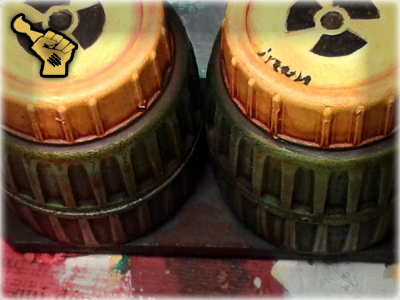 If so – feel invited to post thew link to some pictures here for the benefit of other hobbyists. 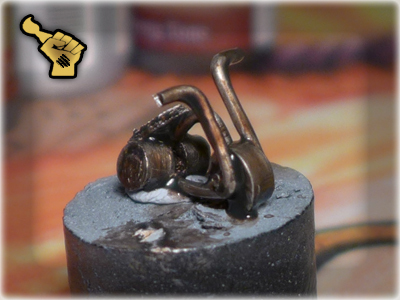 Here is a Step-by-step guide of how to paint metal with ‘Five Layers Technique’.
! 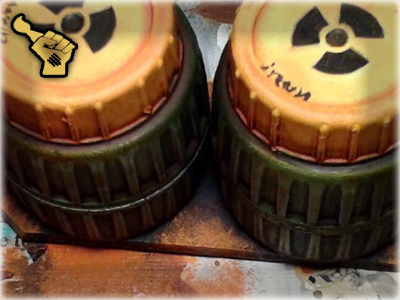 You can exchange particular paint for any substitute as long as you keep colour intensity close. Use Black undercoat. 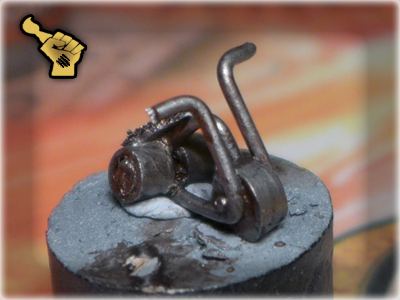 The first layer of metal should be painted Tin Bitz. 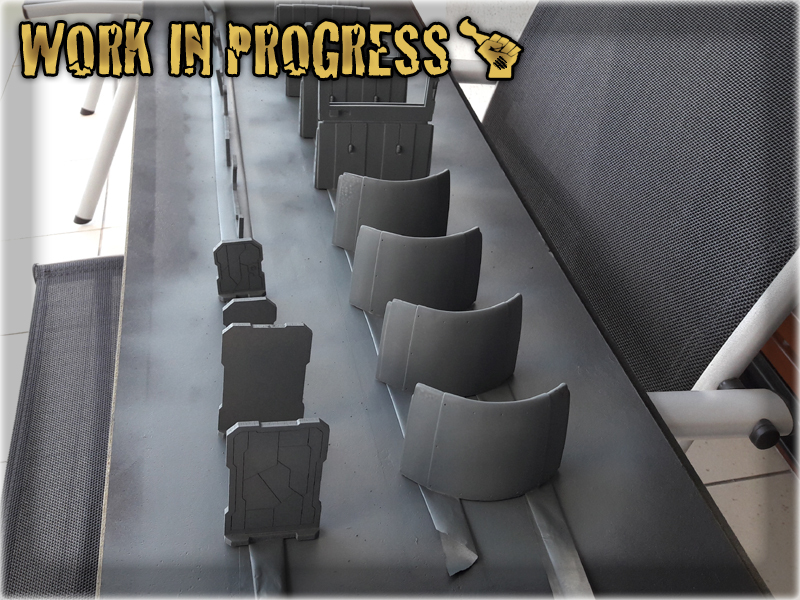 The paintjob must be as thorough as possible, paint should be delivered into recesses but be sure to keep all the details sharp. You can add some water to ease the process. 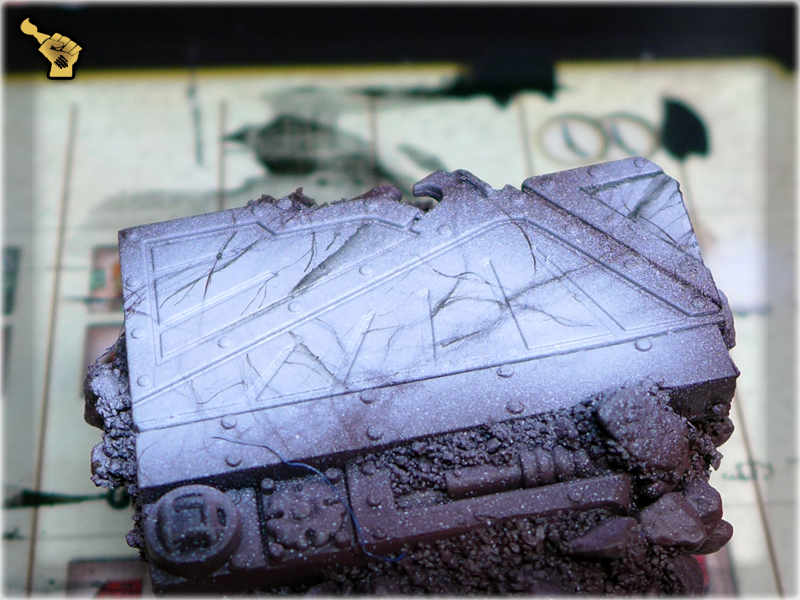 Next, using Boltgun Metal paint all the protruding and flat areas leaving Tin Bitz visible in recesses and near the edges. 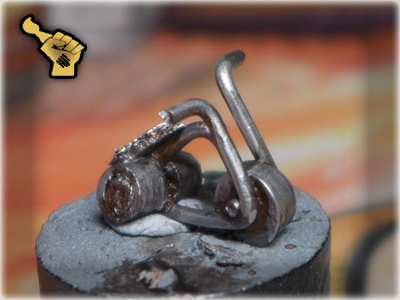 Using Mithril Silver paint edges, centres of flat areas and all the bulges. 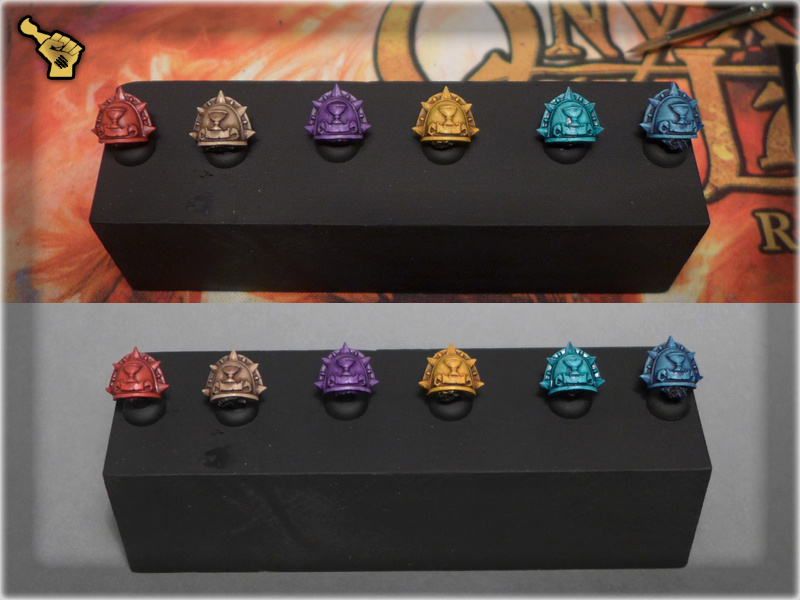 Wash all with Devlan Mud (wash a lot). In the end just edge all with Mithril Silver. 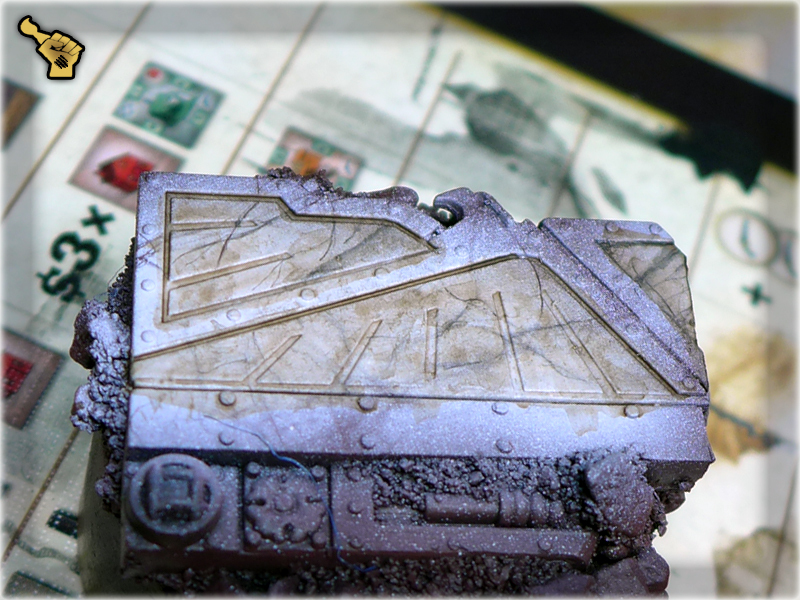 You can also paint some small scratches and lines in the middle of flat areas. This picture shows exactly how layers should overlap each other. 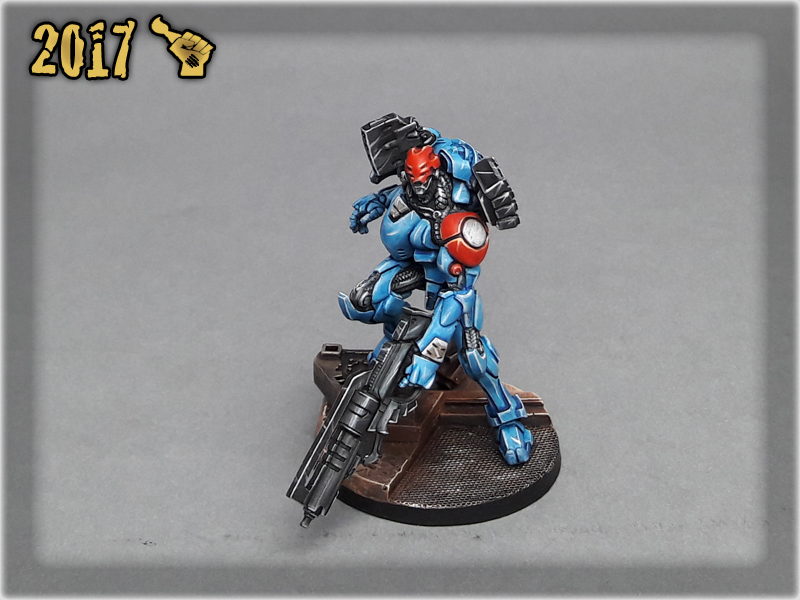 You should end up with a quick and easy way of painting metal thath both shines with light reflexes and has a nice overall facture. Hope you enjoyed this tutorial. Here is a technique that I have developed through years of painting and find it most usefull up to this day. Five Layers Technique is a basic technique of choosing and applying colours. I especially reccomend it for begginers as it is simple, easy to learn, fast and rewarding. 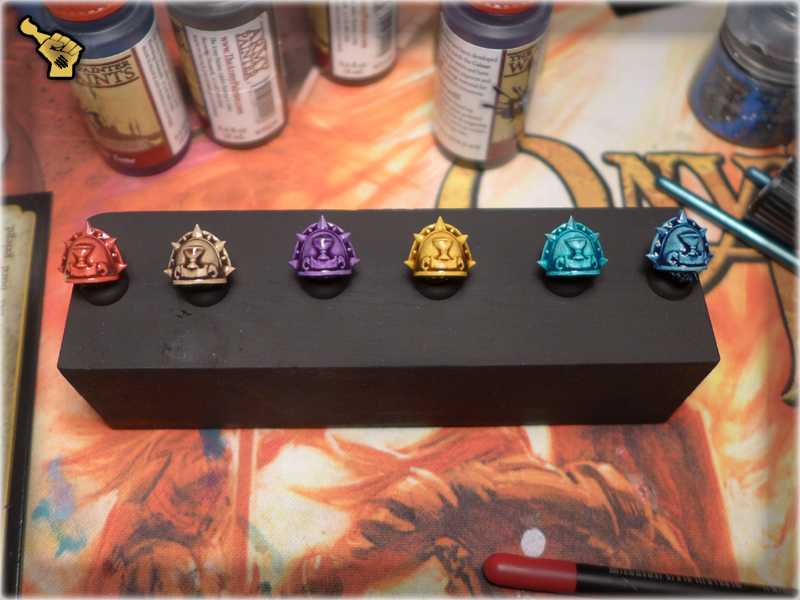 You can apply almost every colour using this technique and achieve good results as long as you choose proper paints to do so. 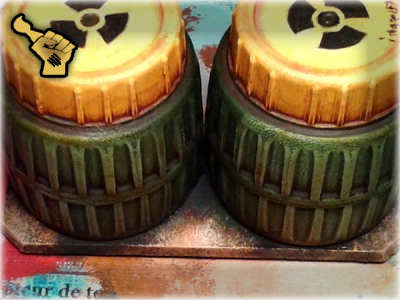 It is especially good for either painting entire army ‘tabbletop level’ or preparing a miniature for much more complex paintjob. 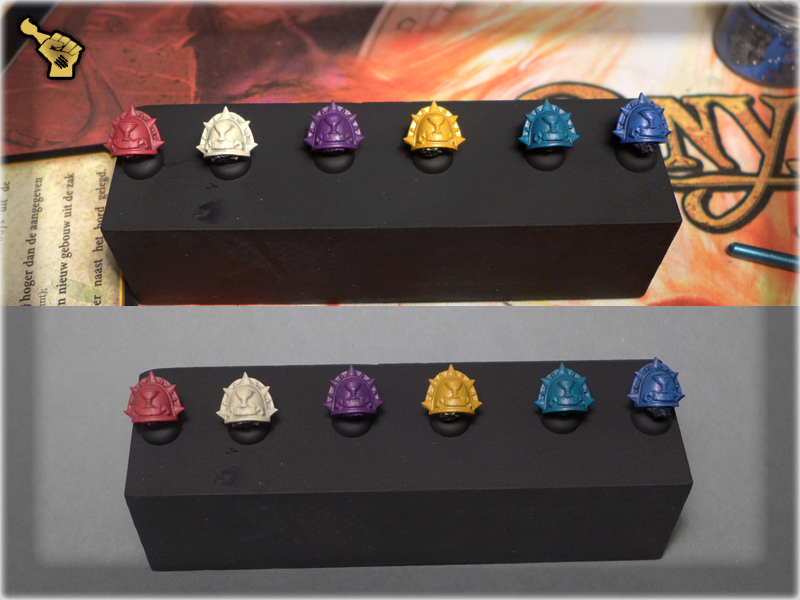 – The exception to this rule is if you would like to keep the colour bright such as bone, vibrant purple, creme, yellow, etc. In this case a little bit brighter, preferrably pastelle foundation colour will do. 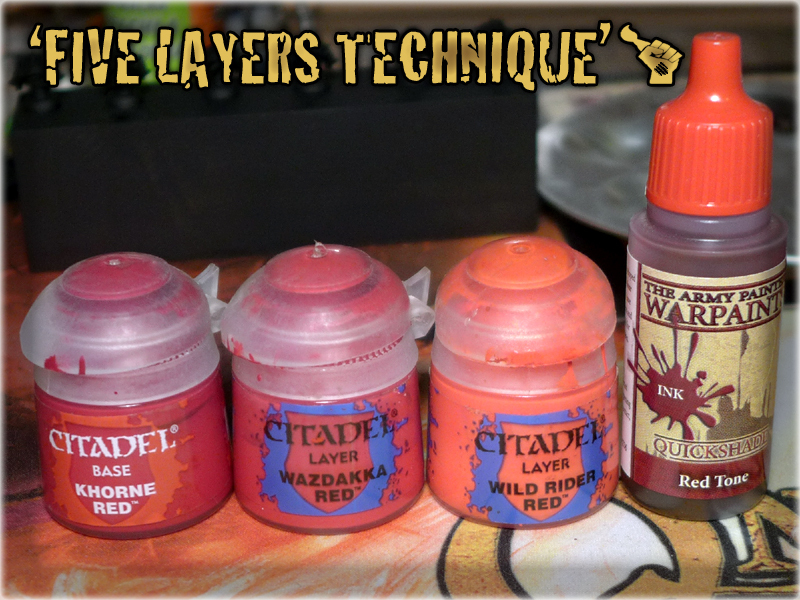 * Finish layer: choose a brighter version of the base colour. 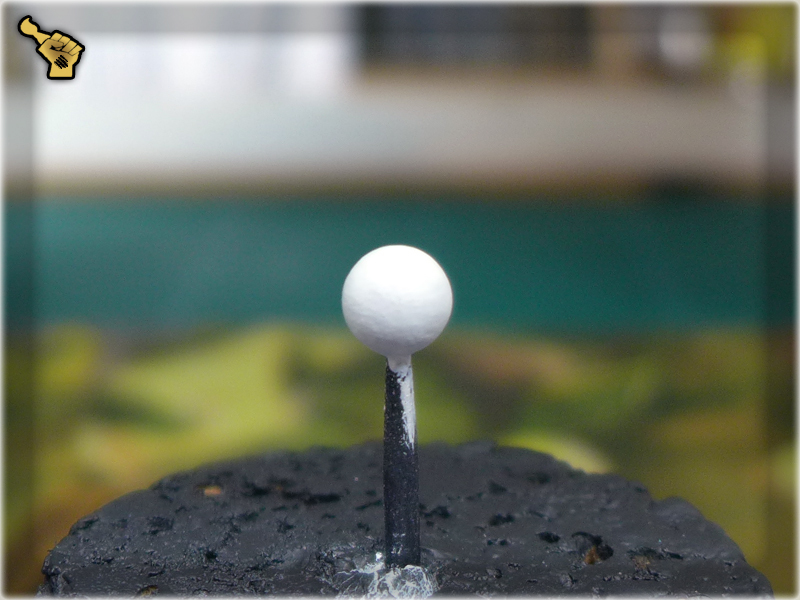 – Try to keep it the same distance as it is between Base and Foundation layer. 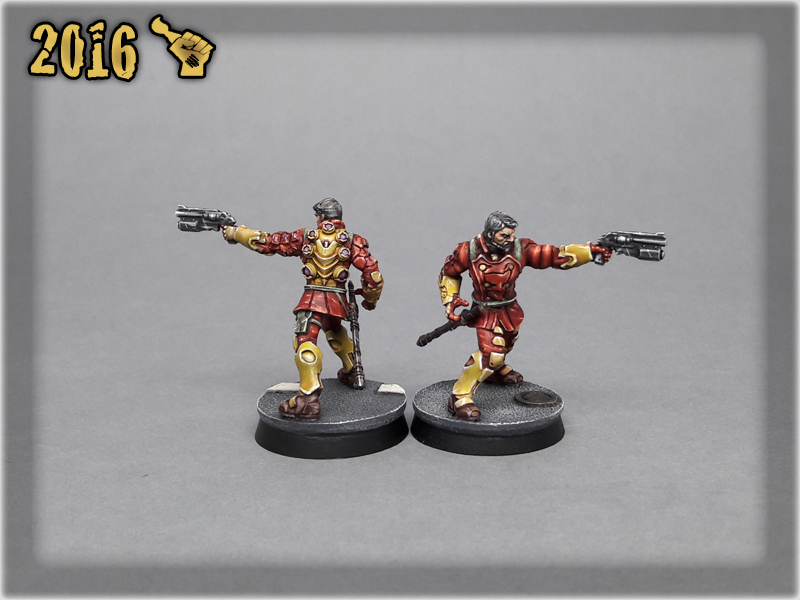 * Wash layer: use either same colour wash or brown. – Brown wash fits in most cases. 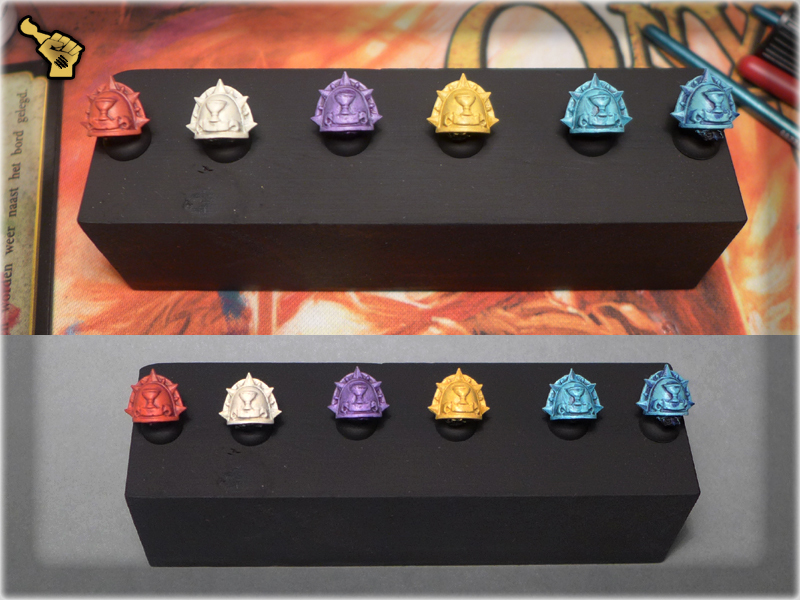 Be aware tho – it will do much damage if you pair it with pink, purple, violet or white. 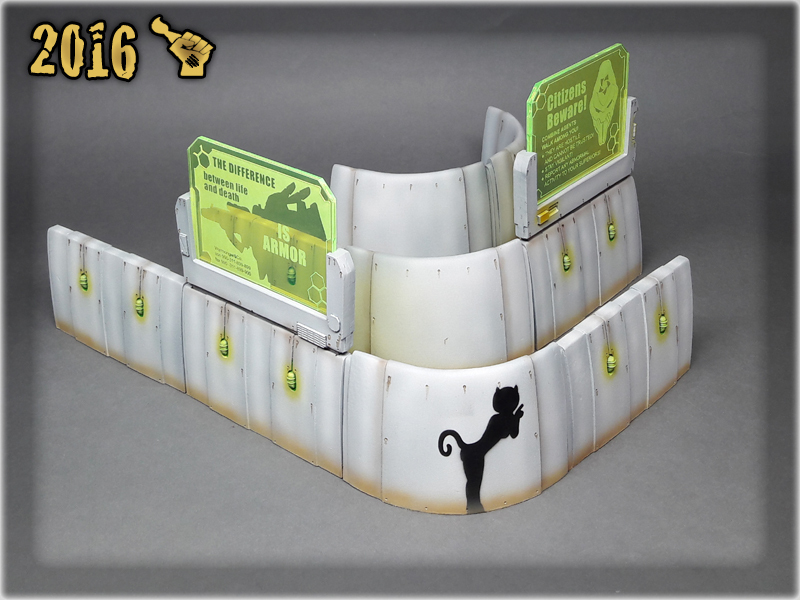 – Foundation layer: Must be painted thoroghly. 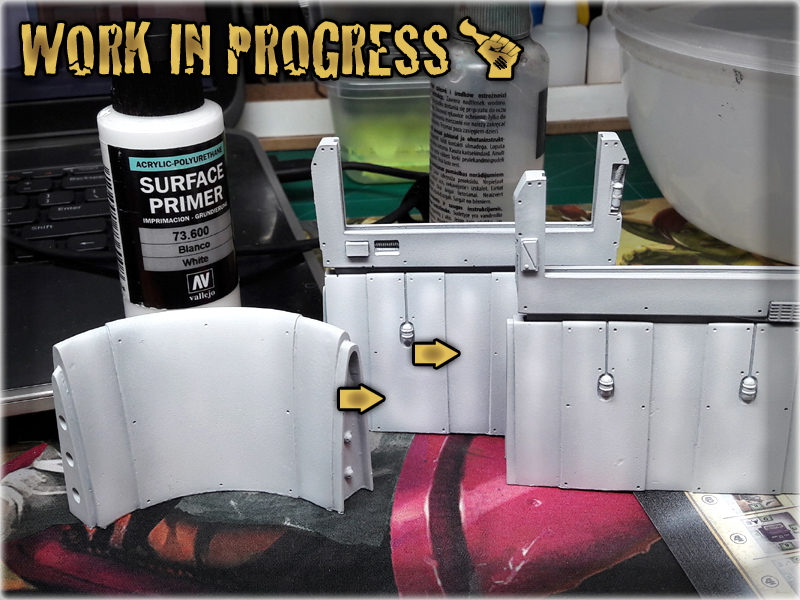 Paint should be delivered into recesses and cover all the flat areas, in the same time it must be kept from obscuring details too much. Some water may be added to the paint to ease the process. 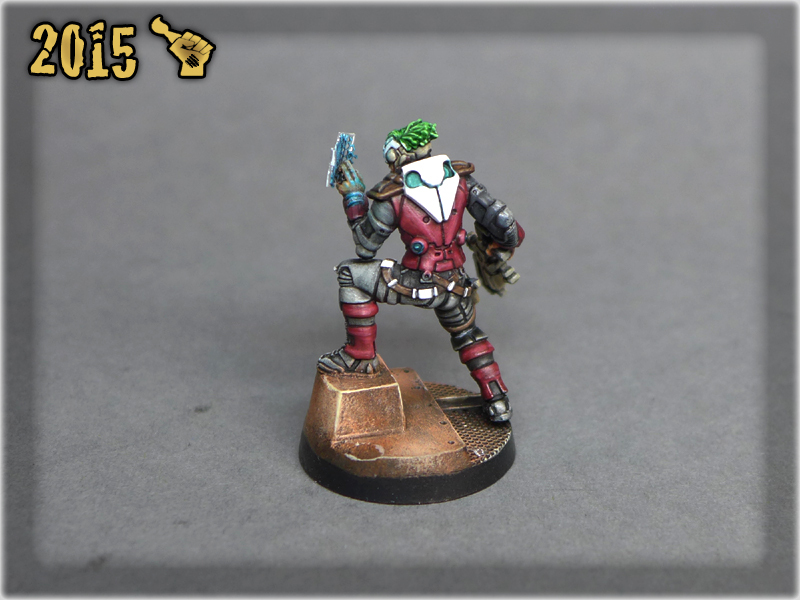 – Base layer: May be painted scruffy and without dedication. 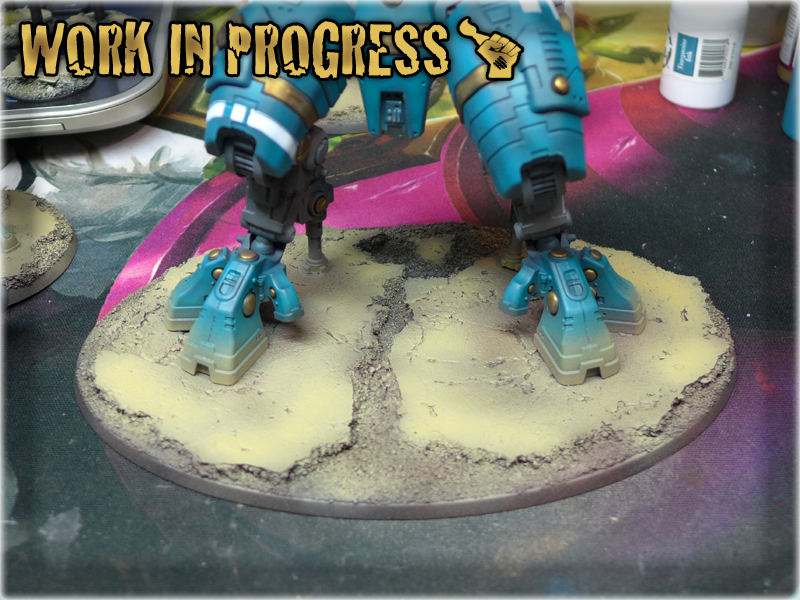 Paint should be applied to all the flat areas and bulges leaving some of the Founation layer visible around it. Protruding areas should be ‘base’ covered wholly. I susually use flat brush for this layer to quicken the process and leave some Foundation layer visible without effort. 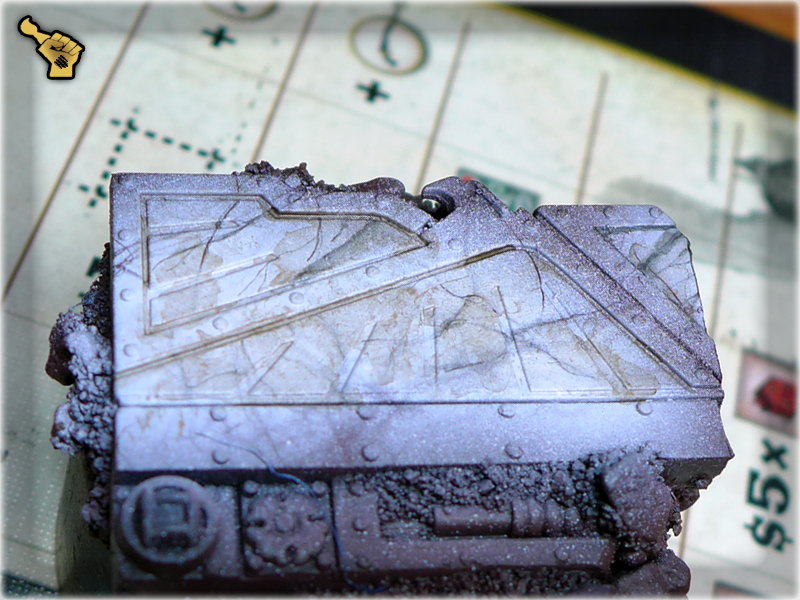 – Finish layer: Is the hardest part. Only protruding elements, central parts of flat and bulged areas should be covered. Some ‘edging’ may be done but next layer will render it almost invisible. 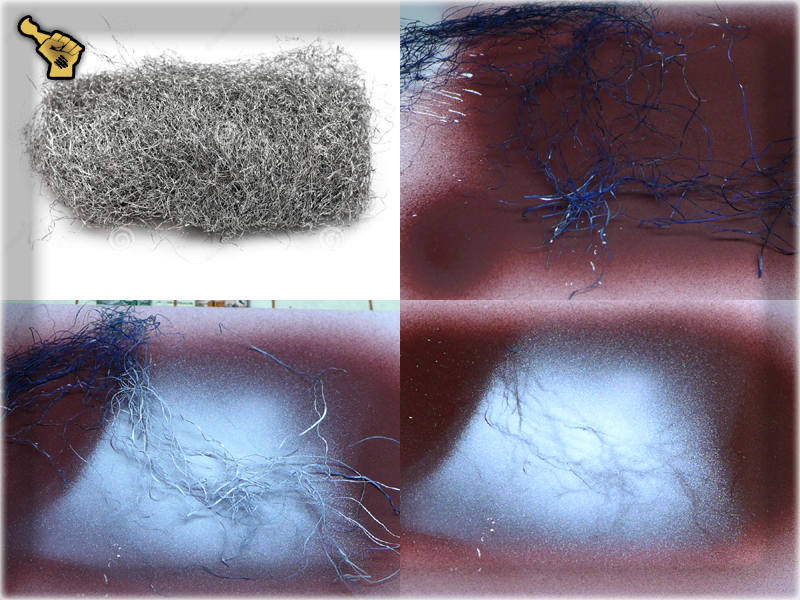 – Wash layer: Is the easy part. A lot of wash should be applied onto efery surface with no regard for details. Medium brush is good for the job as brushes too small won’t keep a lot of wash in them. 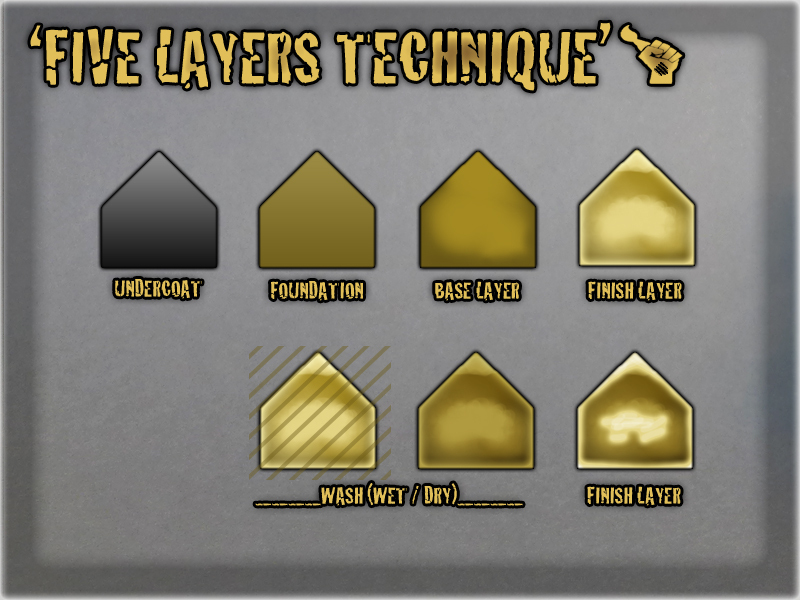 – Finish layer: Goes once again. Only protruding elements, central parts of flat and bulged areas should be covered but some parts of previous Finish layer should stay visible. At this point ‘edging’ is desirable. I hope you’ve enjoyed this tutorial and found it helpful. 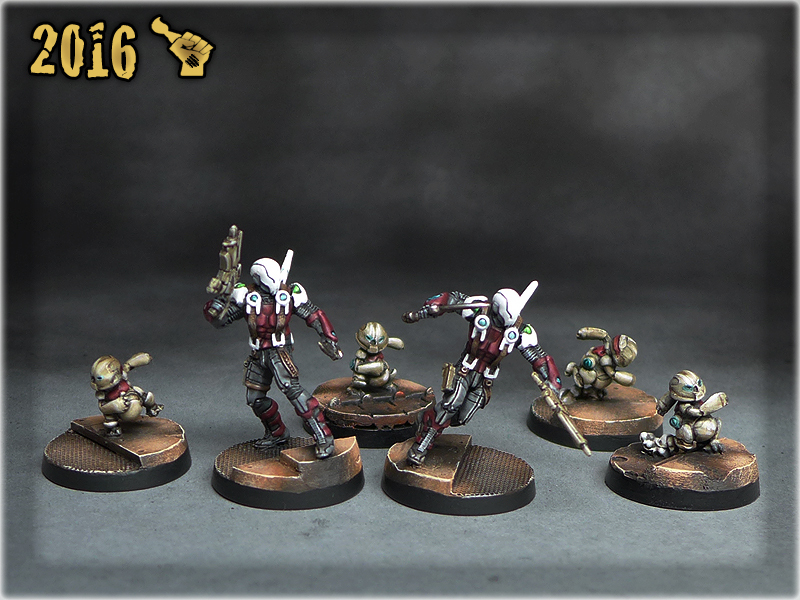 A complete Recipee used to paint my Infinity Nomads may be found in COLOUR RECIPEES: INFINITY NOMADS. You can also find some additional pictures in the NOMADS: CORREGIDOR lvl 4,5 Gallery. 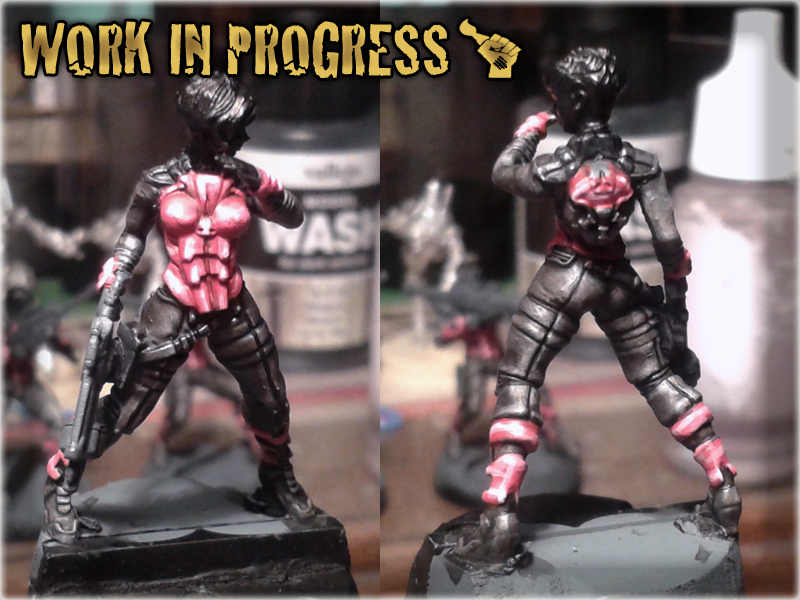 1 I used Chaos Black spray to undercoat the model. 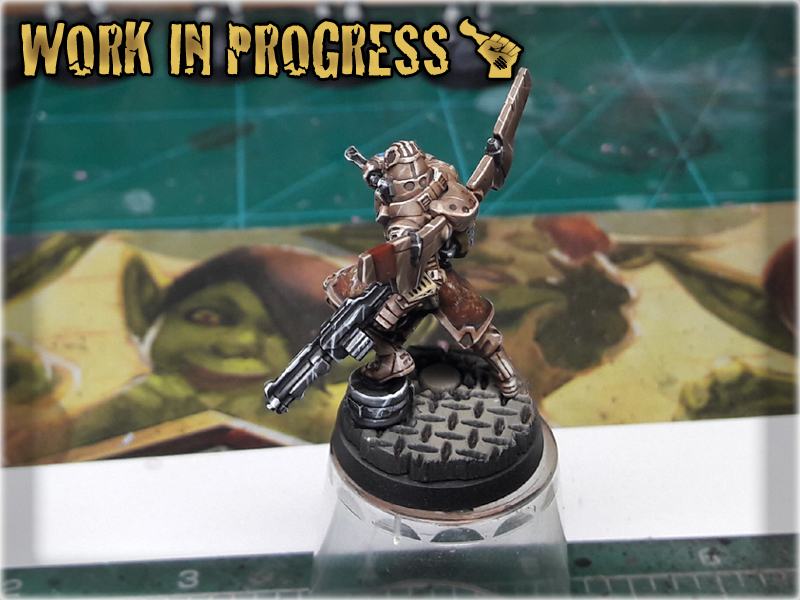 I usually do this by applying eight layers of undercoat from eight different angles (four at the front and four at the back of the model, each at the same 45* angle with one directed up, one down, one left and one right side of the model). 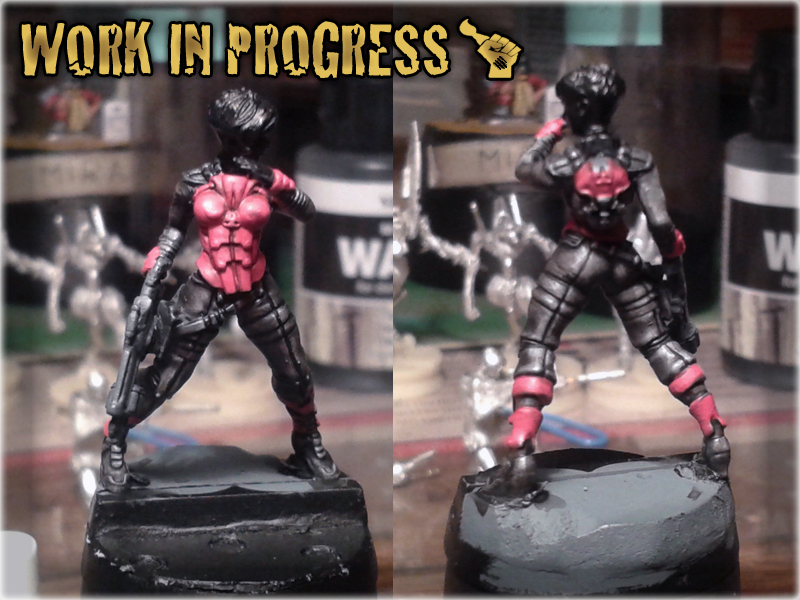 2 The first layer of Red was made with Standard Brush and Mechrite Red. I tried not to fill the recesses too much and to cover all buldes smoothly. 3 I switched to Tamiya Modeling Brush and applied Wazdakka Red to all bulges and flat surfaces of the armour, leaving cavities Mechrite Red'ed. 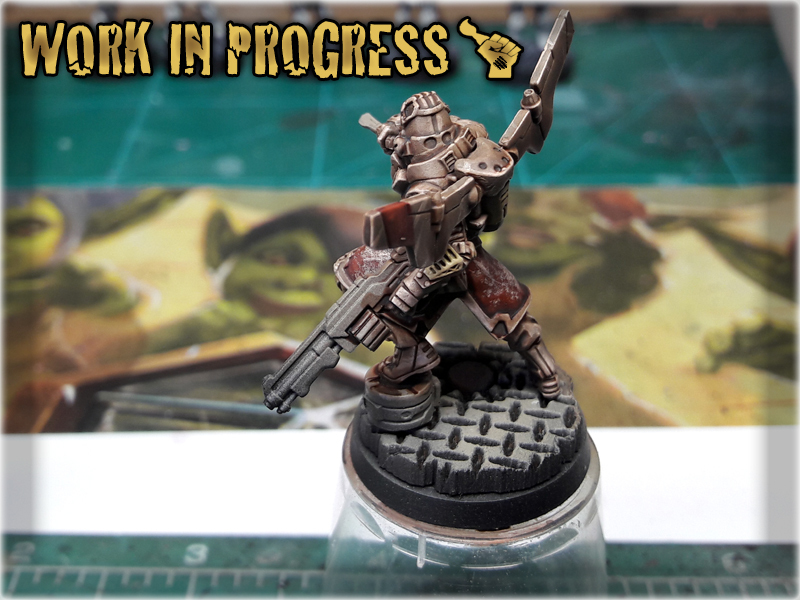 This madethe armour look more smooth and ready to be highlighted. 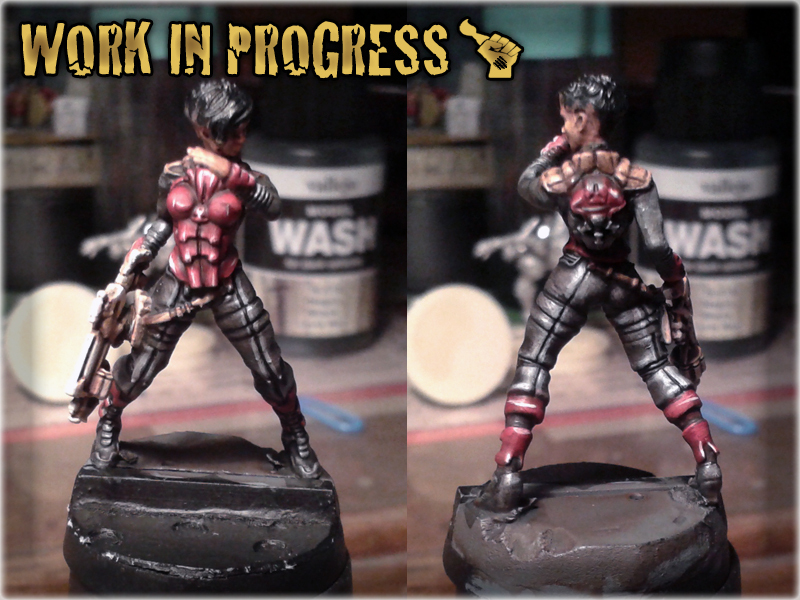 4 I applied a 50%/50% mix of Wazdakka Red and Skeleton Bone in the middle and on the edges of particular surfaces. 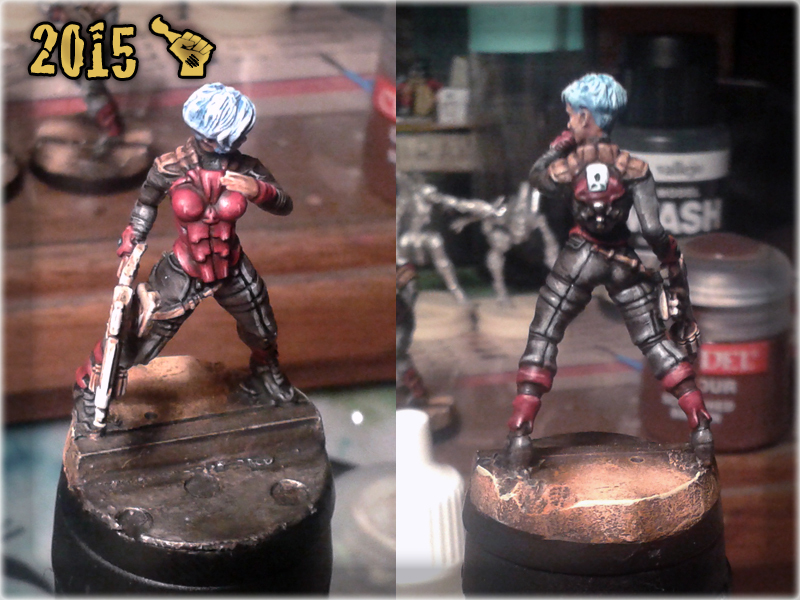 5 I added White to the Wazdakka/Skeleton mix and further lined the model. 6 More White was added to the mix and another layer of lines and points was made. 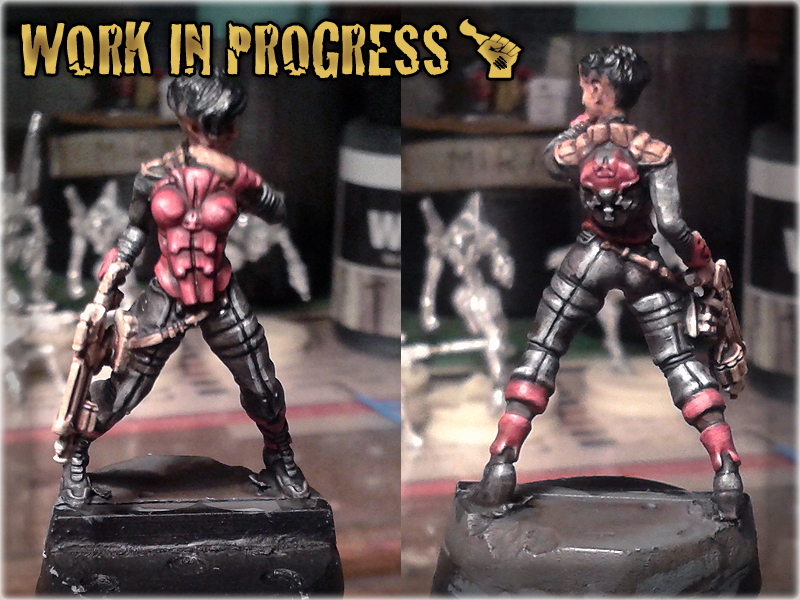 7 I switched back to Standard Brush and washed the armour with Strong Tone Ink. 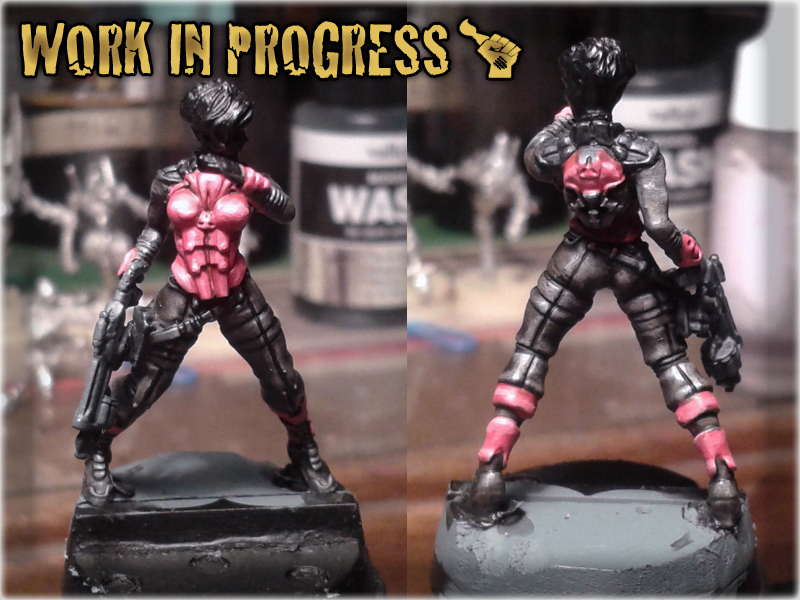 8 I switched to The Psycho to add some Skeleton Bone/White lining in the key points of the armour. 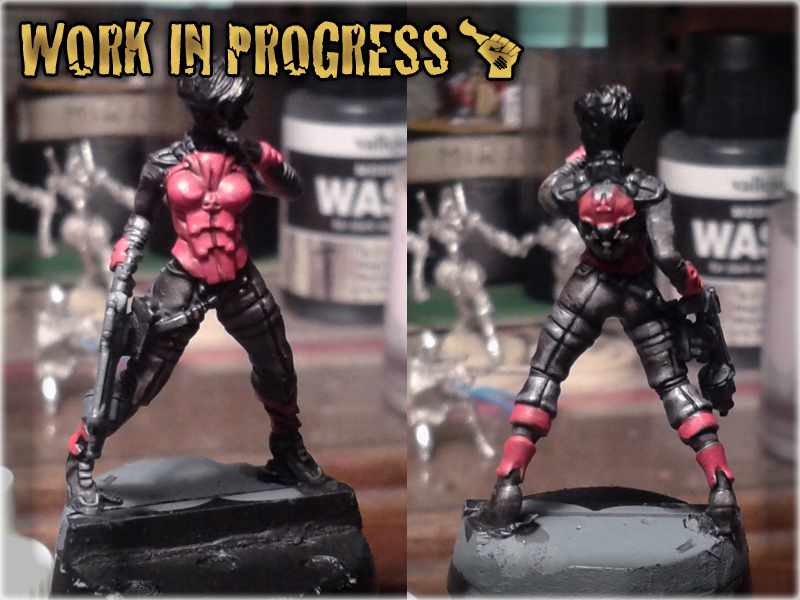 9 I switched to Tamiya Modeling Brush and washed the armour with Red Tone Ink. 9 Oops! 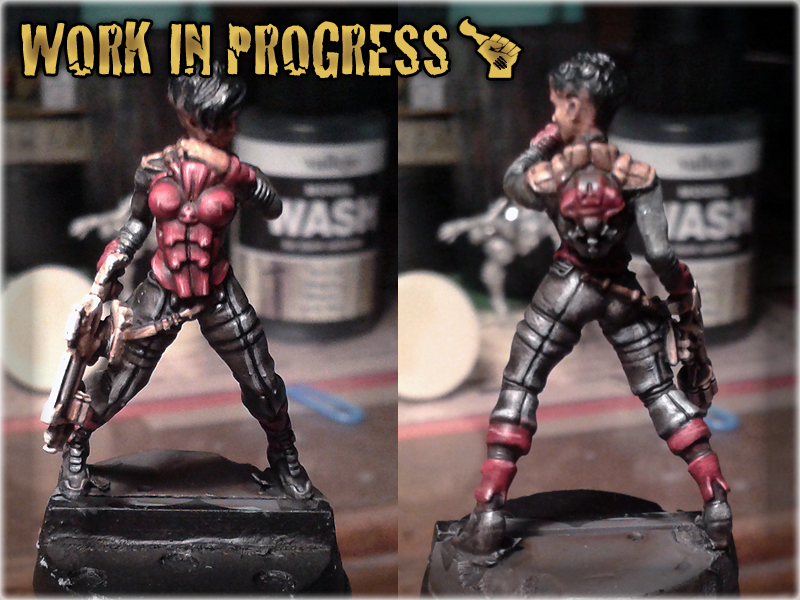 I did it again washing all the armour with Red Tone Ink to finally finish it.